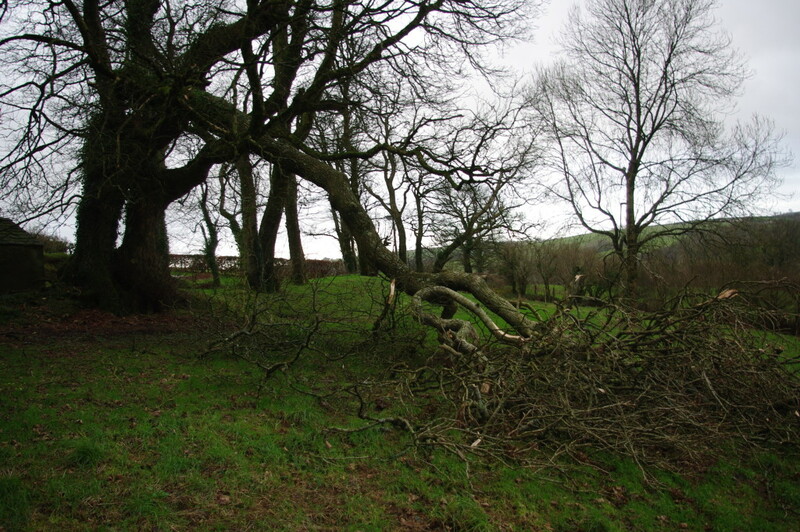 We were called out to a storm damaged ash tree in Talog,a limb had been ripped 0ut of the ash tree by the storms in January this year.Work could not be done to make the tree safe until the storm had passed,the limb had to be removed from the tree and it had been wedged into the tree by the storm,this made it difficult to do and we had to use some careful cutting to remove it safely.Thankfully the customer wanted the wood,which made it a lot easier when on the ground as it could just be logged up and left there,because the ground was saturated by all the heavy rainfall we had experienced during the winter. The customer was so pleased he has extra work for us to do in the autumn. 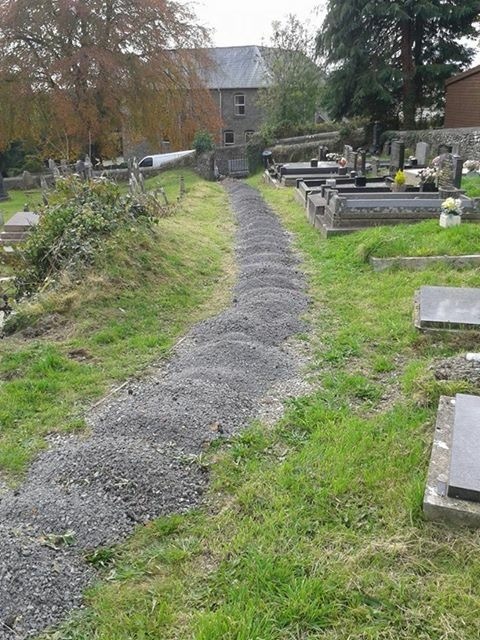 New Graveyard at Llanfynydd church. 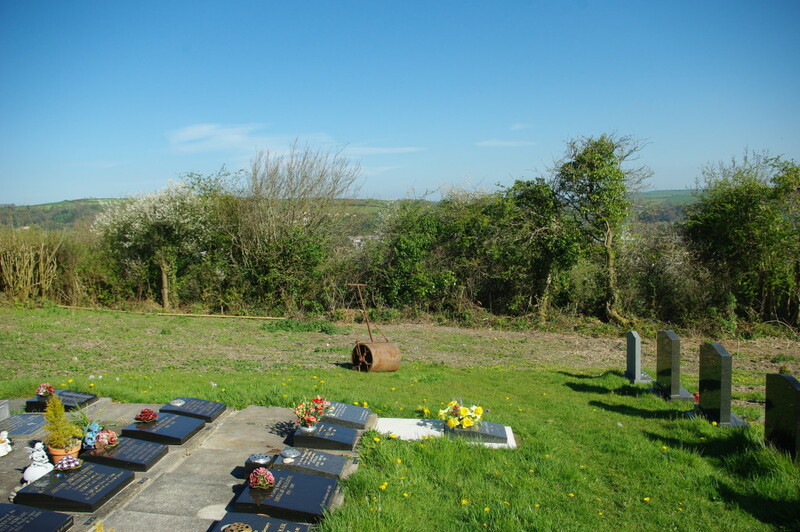 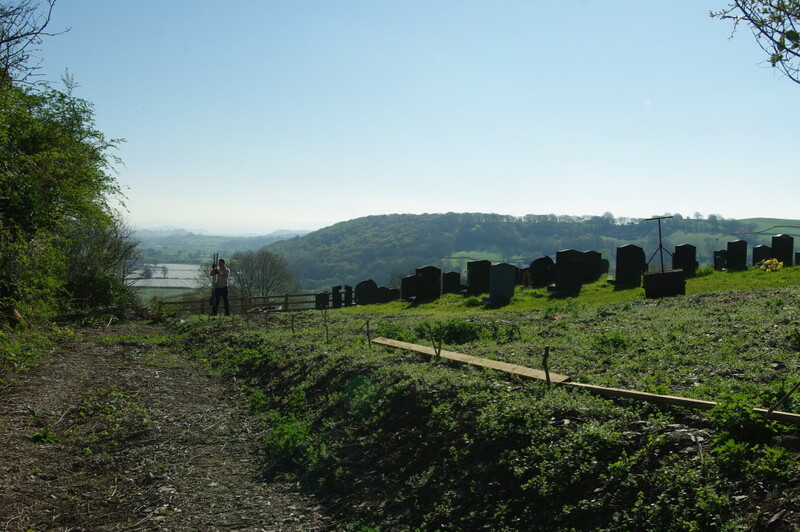 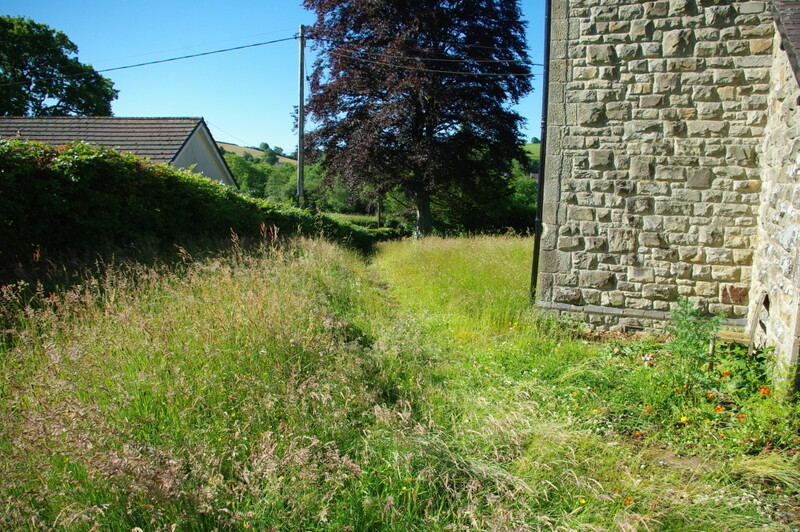 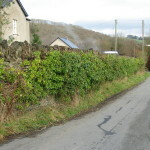 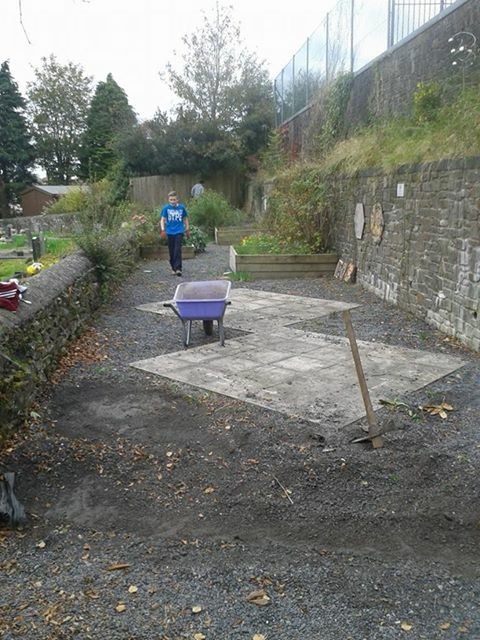 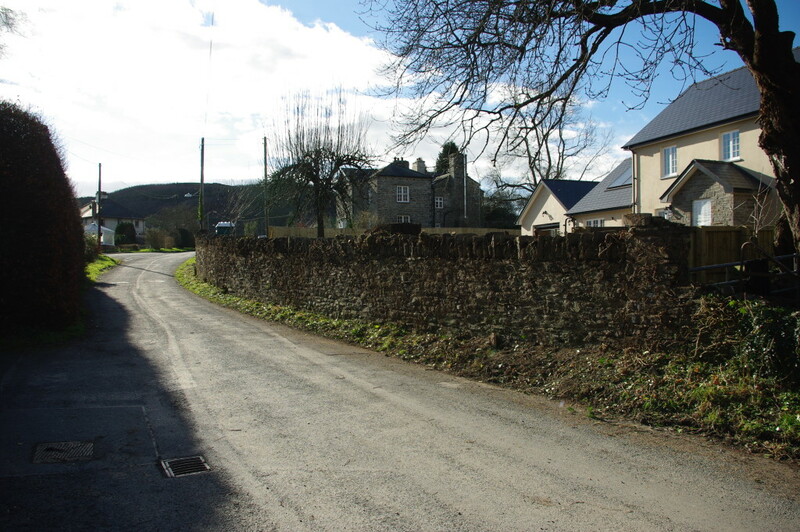 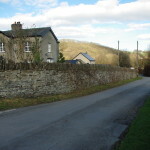 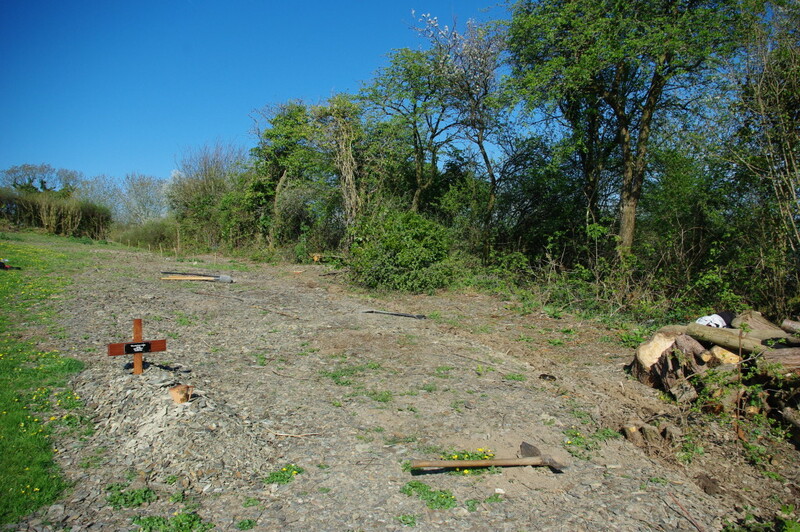 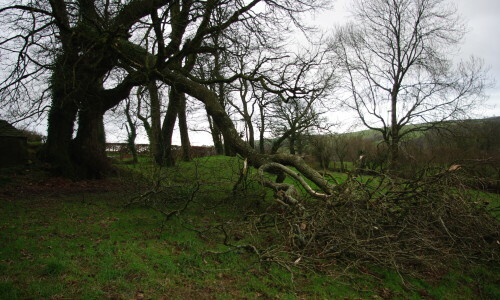 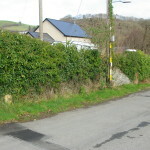 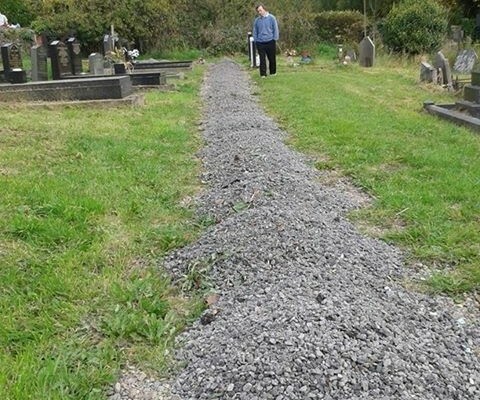 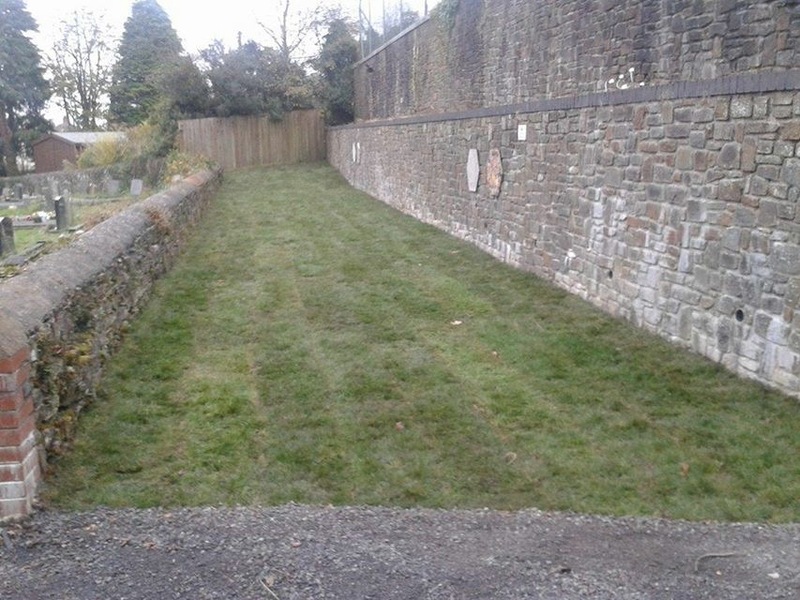 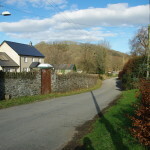 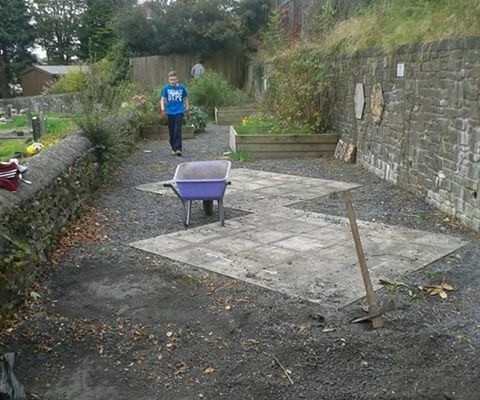 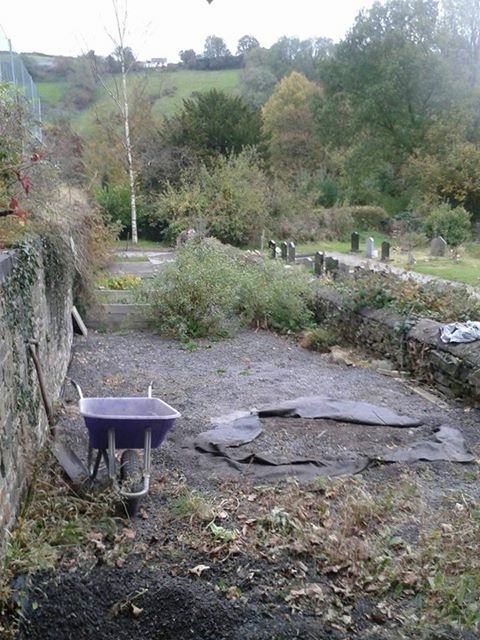 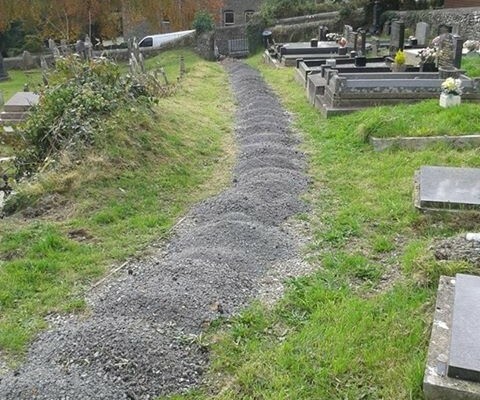 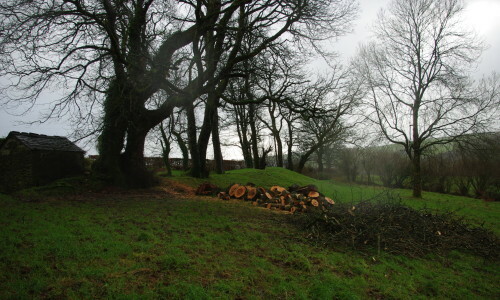 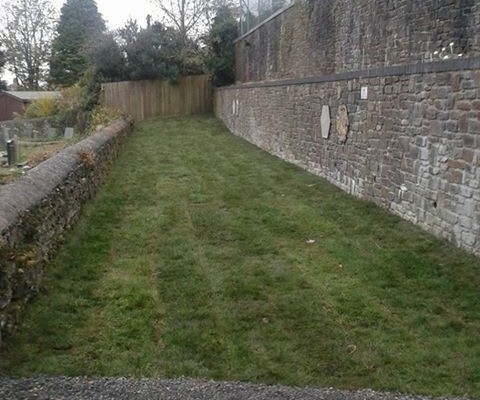 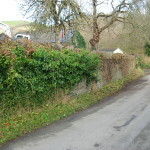 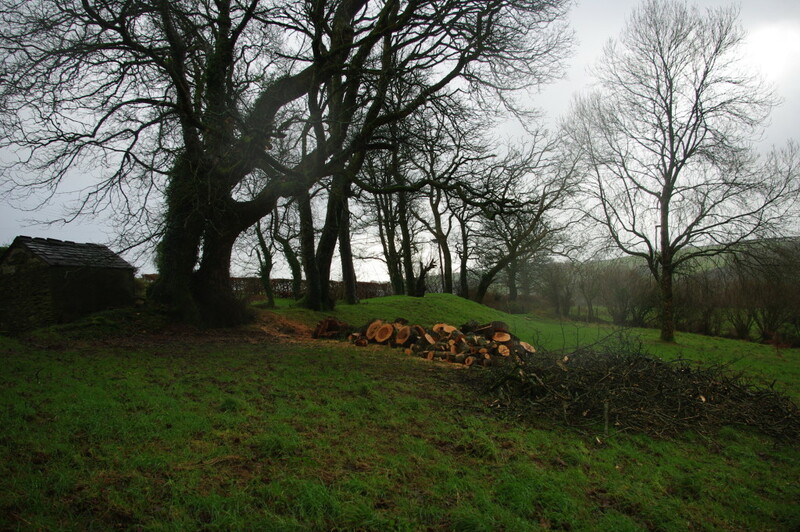 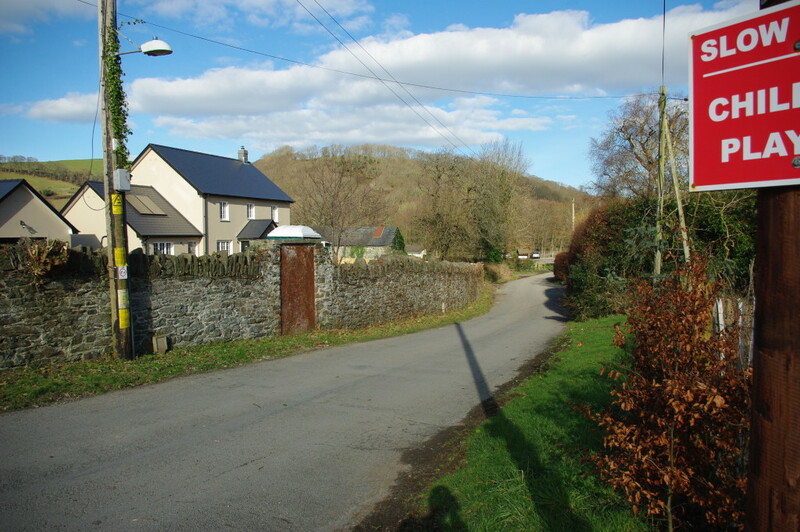 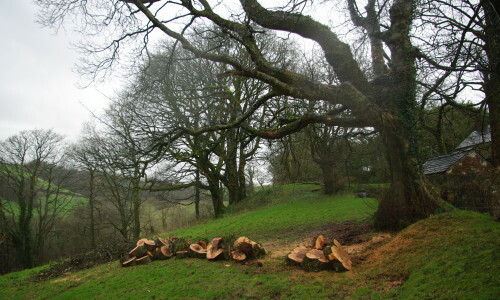 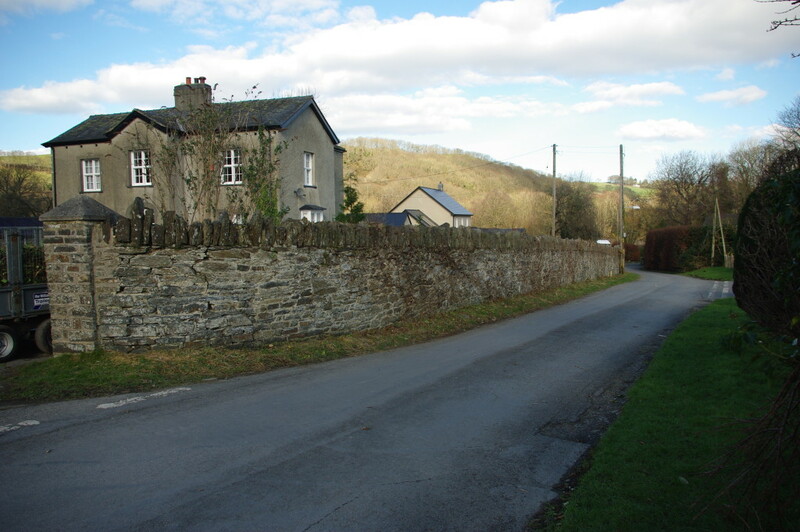 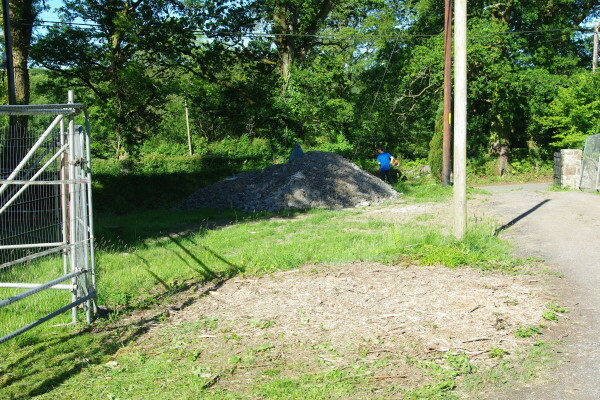 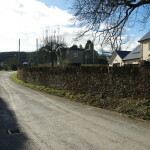 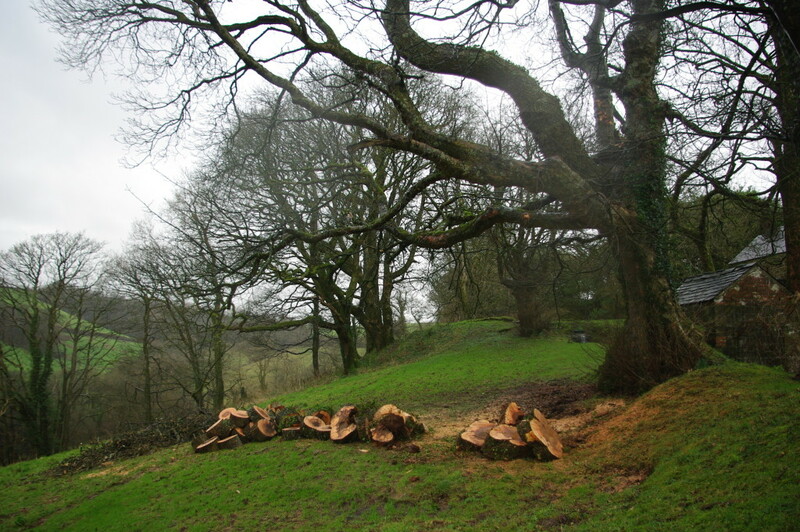 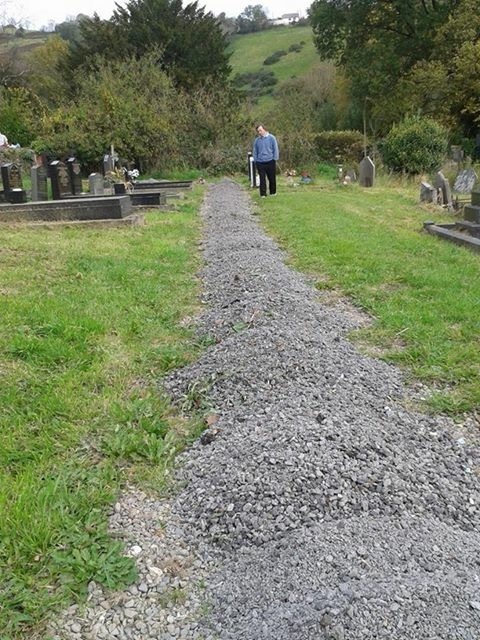 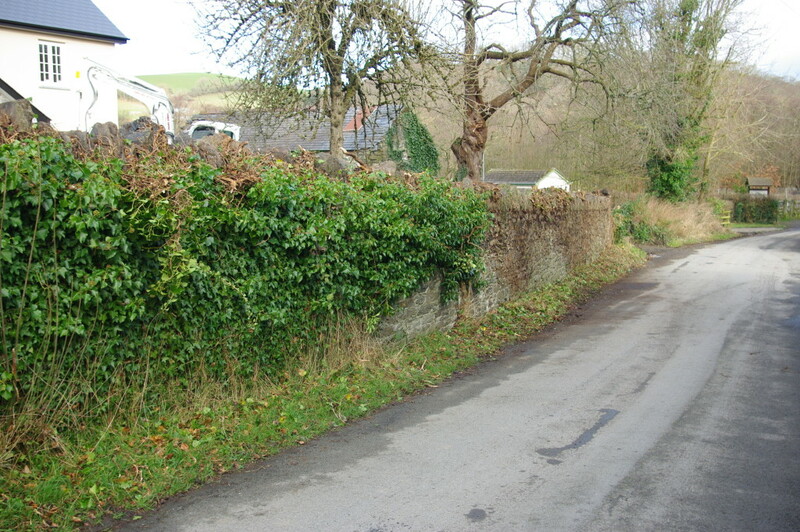 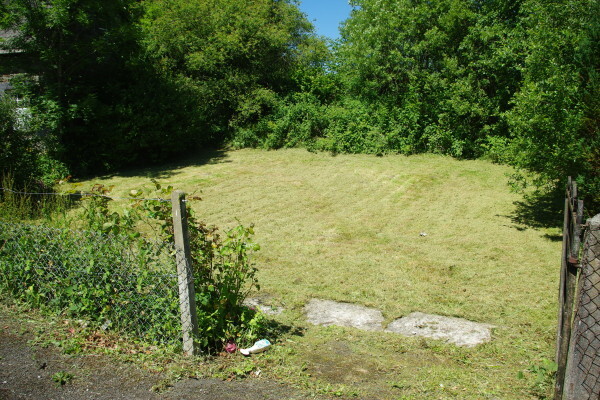 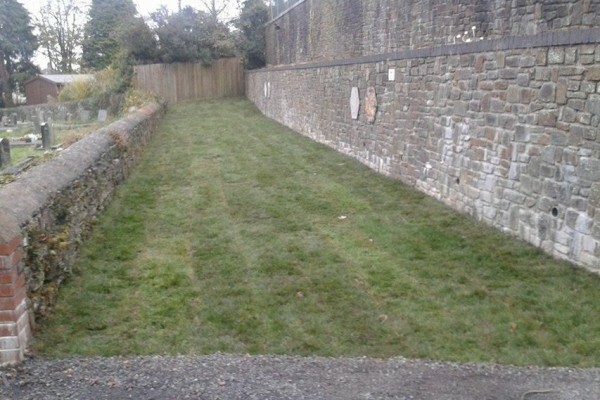 We were asked by the Church of Wales to clear an old garden at the back of the churchyard that the local school had the use of.The area had been used as a sensory garden for Llanfynydd local school and community.Due to the lack of burial space at Llanfynydd Churchyard,the church reclaimed the land for more graves to be made. 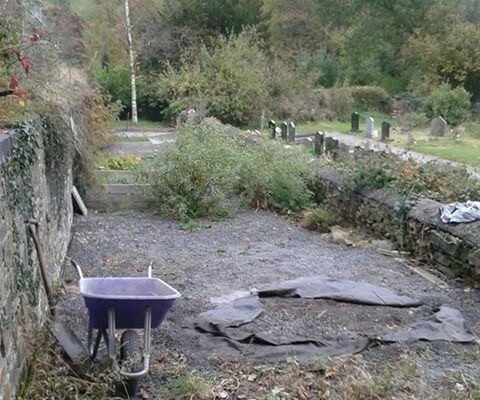 We cleared all the old planters,rubbish and chippings from the area ready to be levelled out for the turf to be laid.The chippings were used to raise the path that was already there which led up to this area from the main gate of the churchyard.We had to take all of this stuff out on wheelbarrows because there was no access for a mini digger. 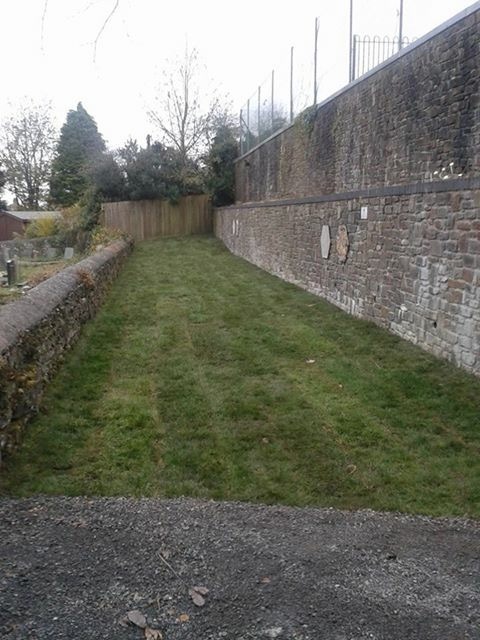 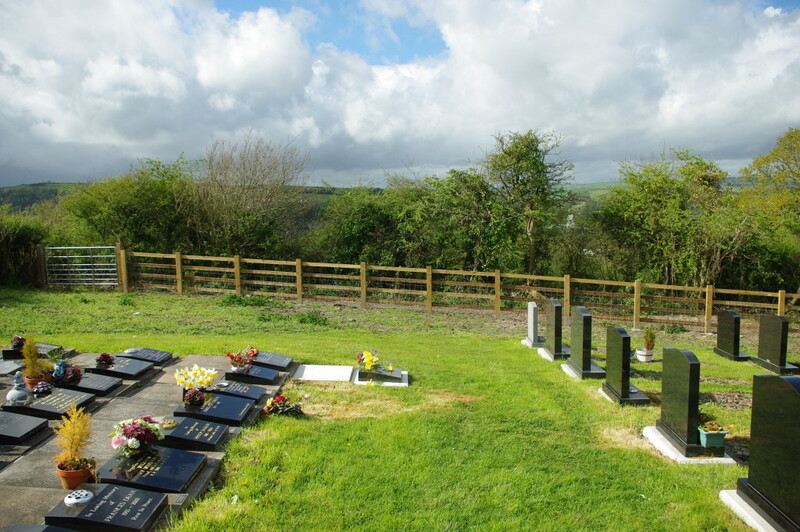 Finally the turf could be laid for the strip of land to look presentable to the public ready for any graves to be dug out.It had to be turfed as it was November and grass seed would not grow to cover the soil until the springtime. 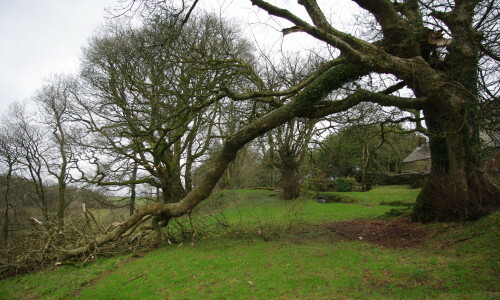 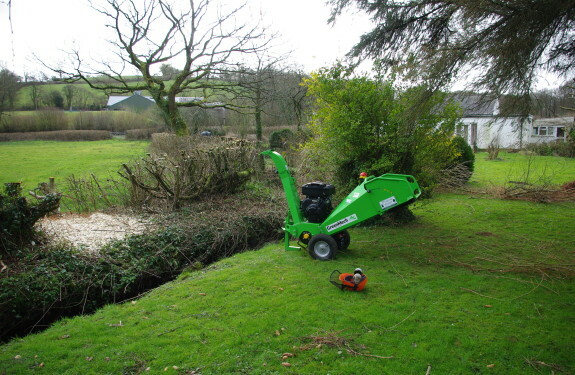 This is the Grounds maintenance of Llanpumsaint Vicarage,Carmarthen.We are contracted by the Church of Wales to make sure all the grounds of the vicarages in the St Davids Diocese are kept in good order.This is one of our favurite places to maintain as it is set in the lovely village of Llanpumsaint and has its own picturesque grounds.They are currently building next to the house but there are still a substantial amount of grounds to maintain. 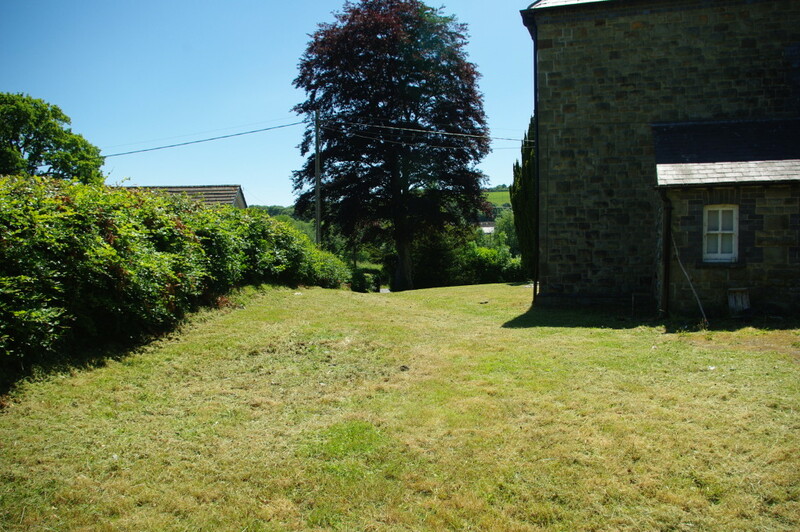 There is a lot of grassy areas to the front of the vicarage which has some very old trees growing there,to the side and rear there was a lot of overgrown weeds,which made the grounds look very shabby.There was a lot of rubbish to clear away from there,but once this was all done it changed the look of the vicarage completely. 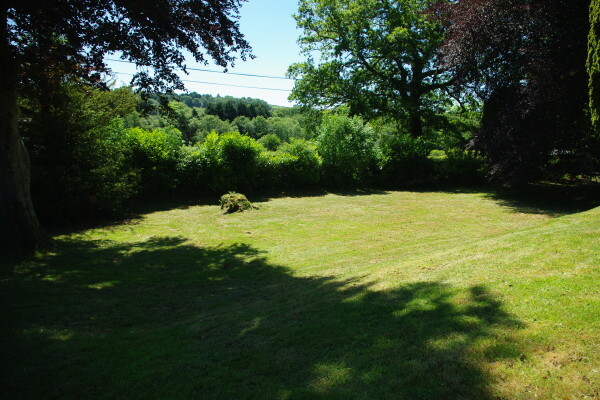 To the very rear of the property there was a contained garden with rose and shrub borders,which would have been very pretty in its time to take a book and read quite peacefully. 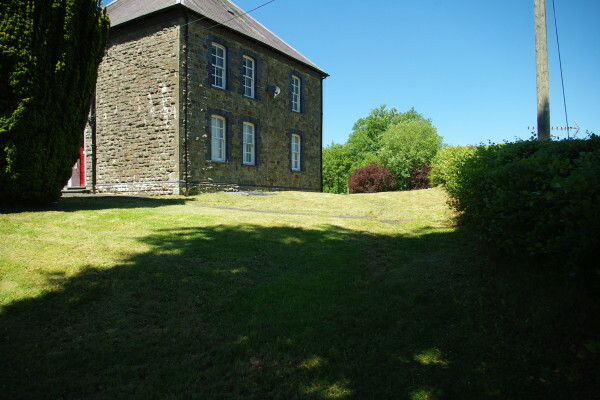 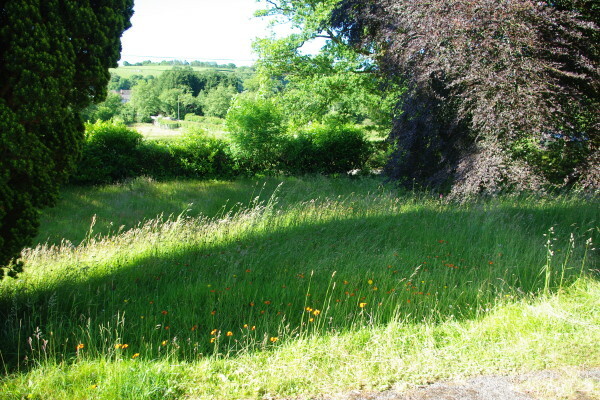 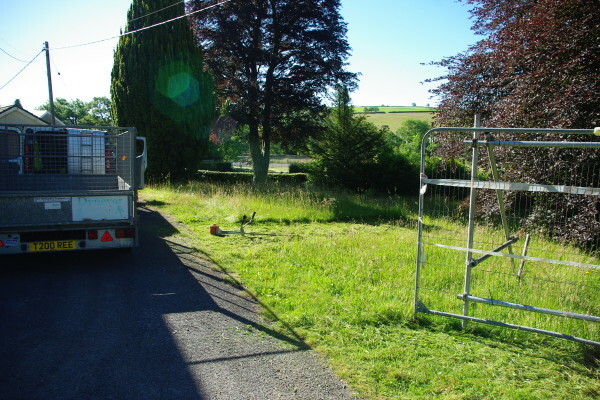 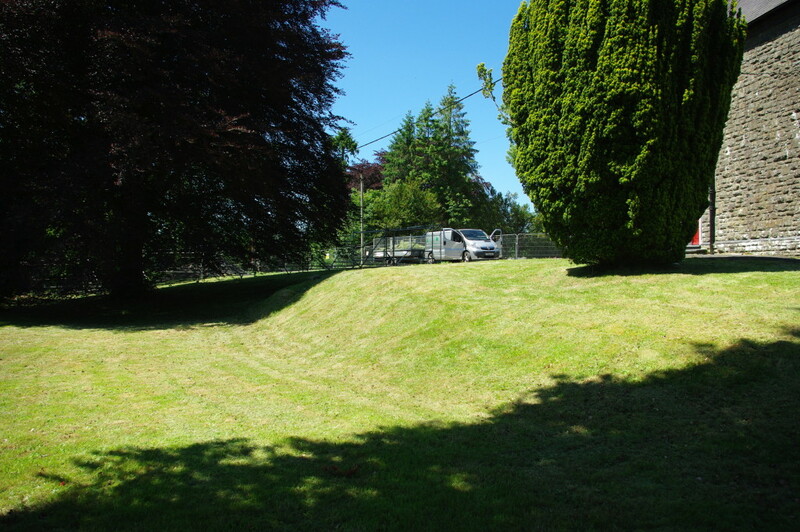 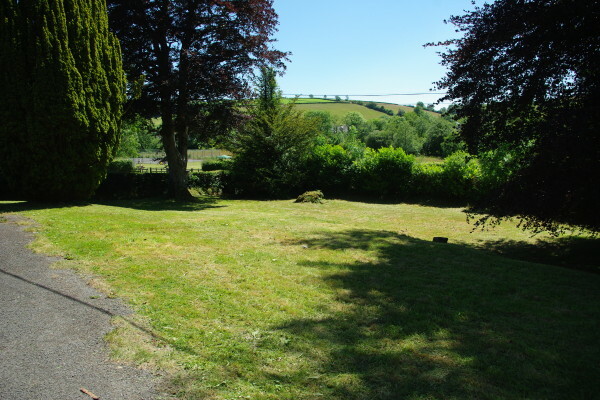 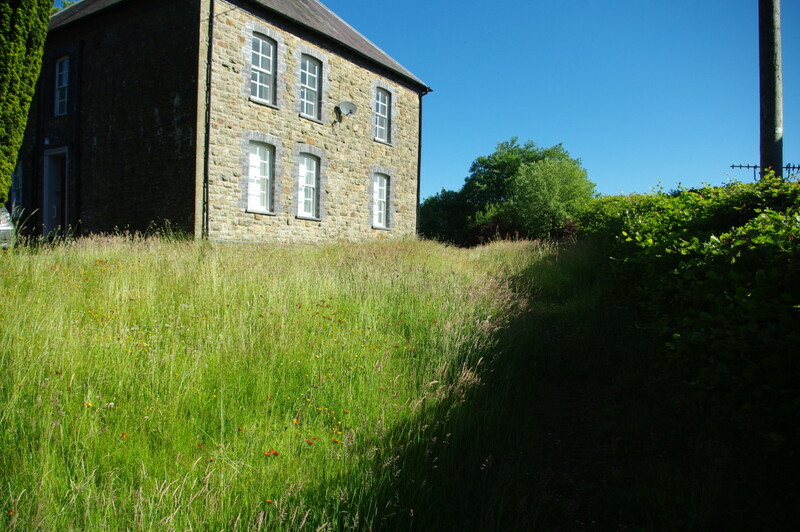 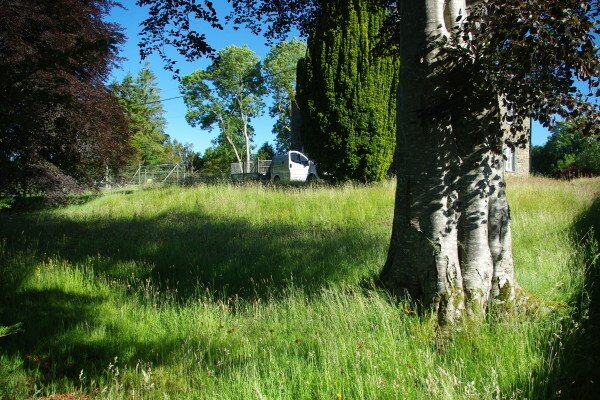 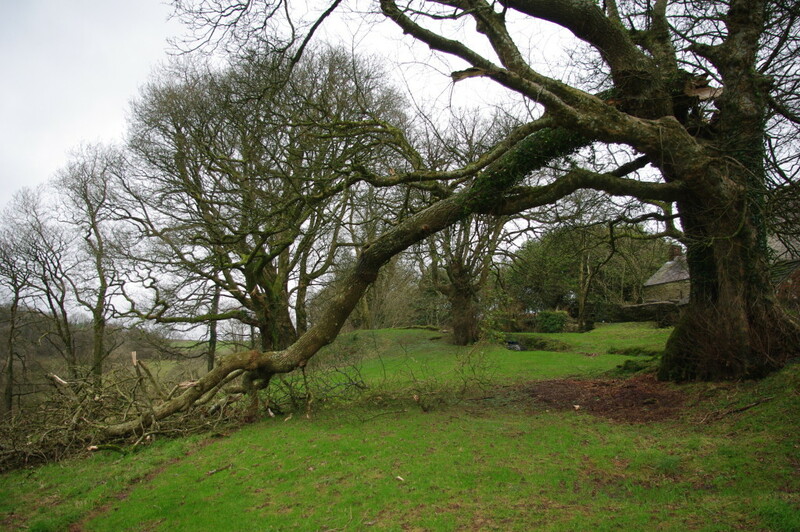 We regularly maintain the grounds at the Llanpumsaint Vicarage, weedkilling and grasscutting every three weeks,this keeps the grounds in good order and hopefully the Church of Wales happy. Clearing grounds of a bungalow ready for it to be resold. 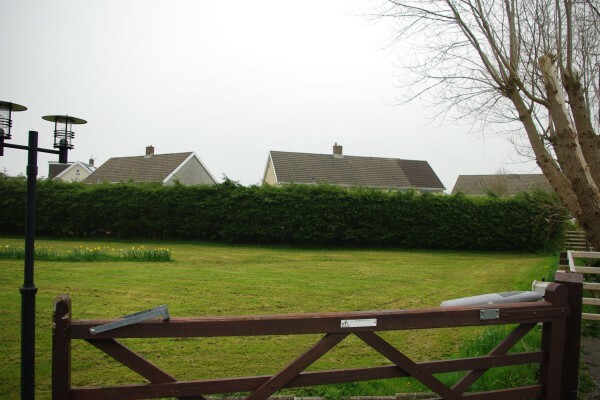 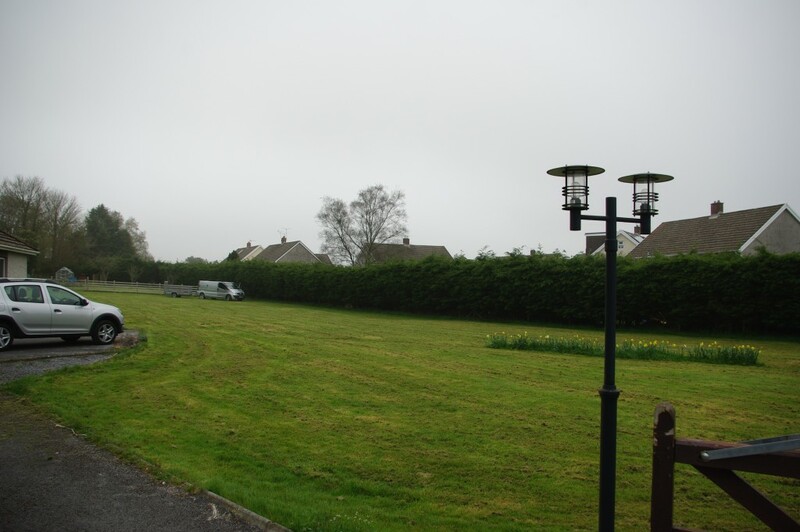 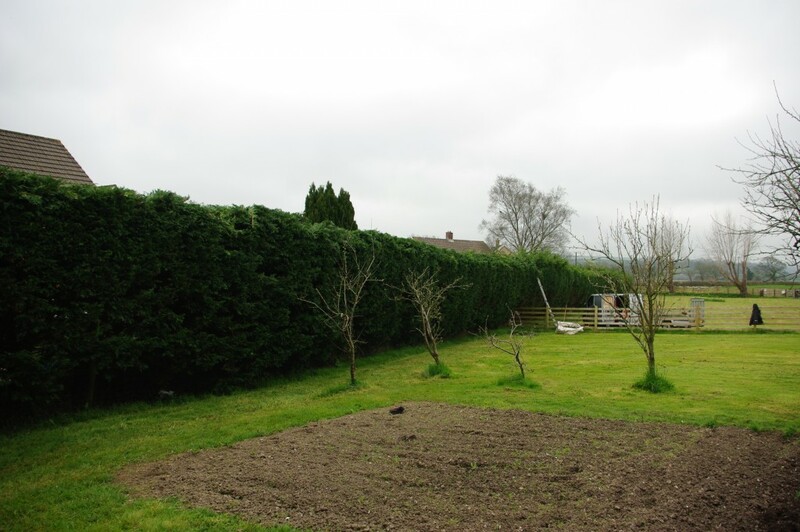 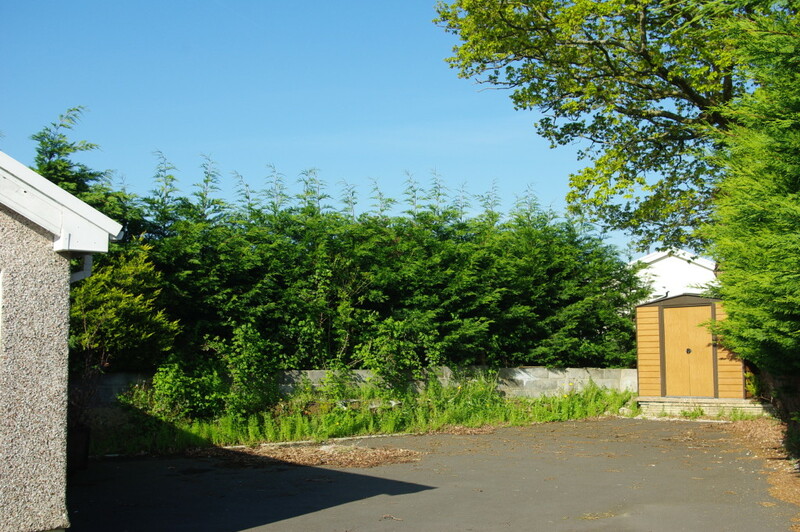 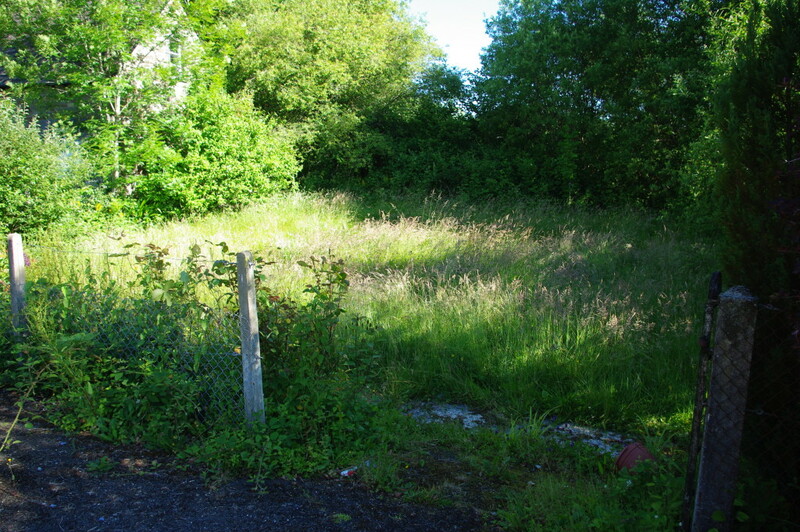 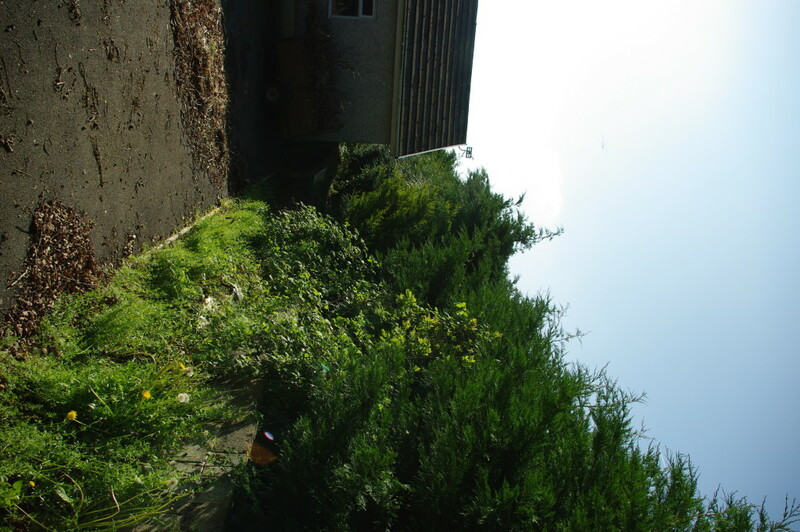 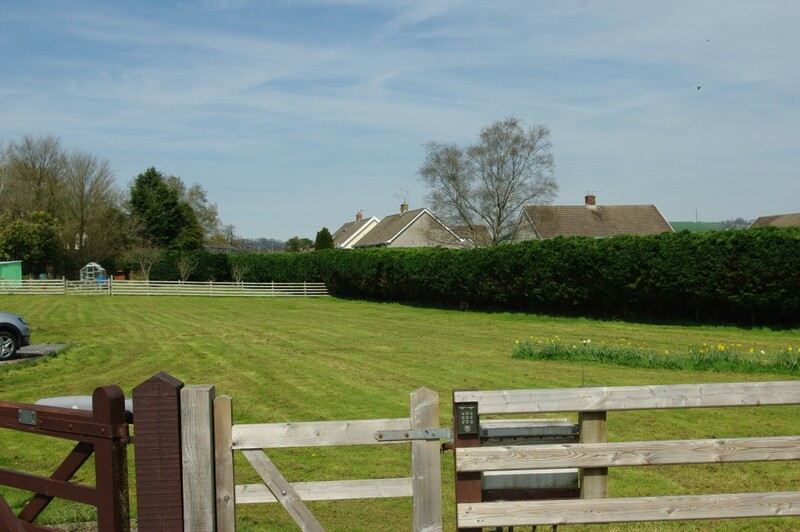 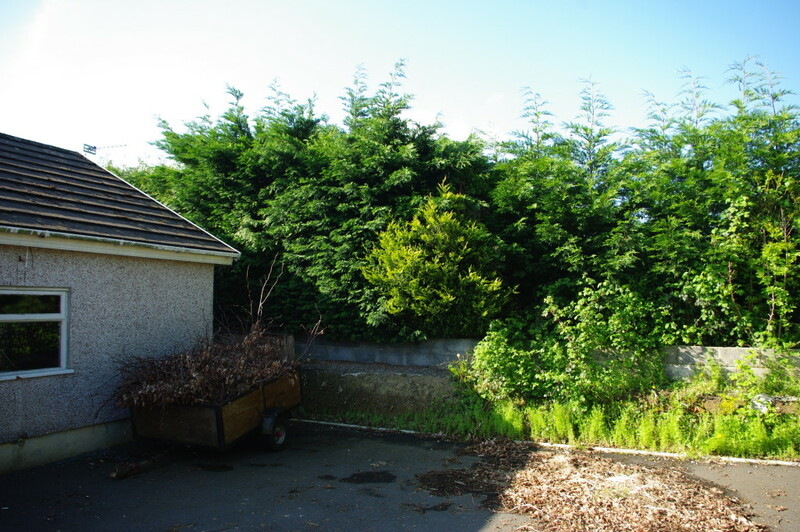 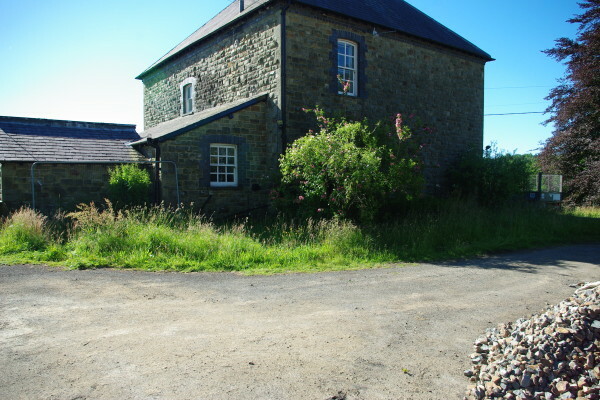 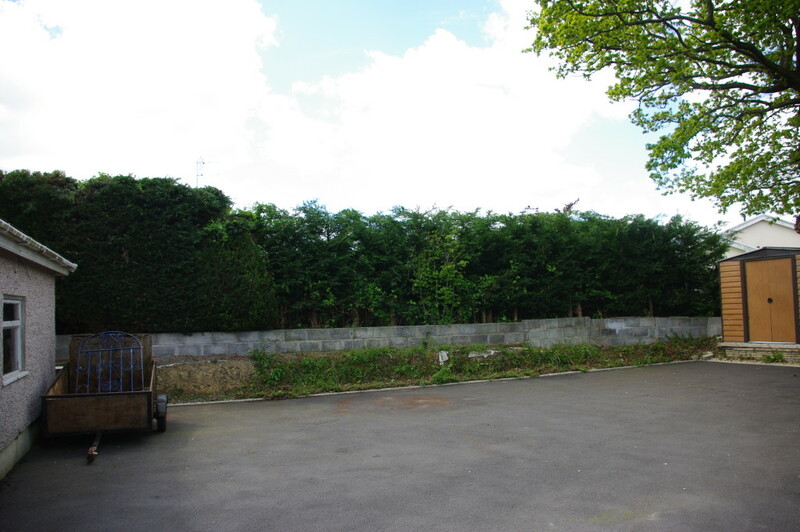 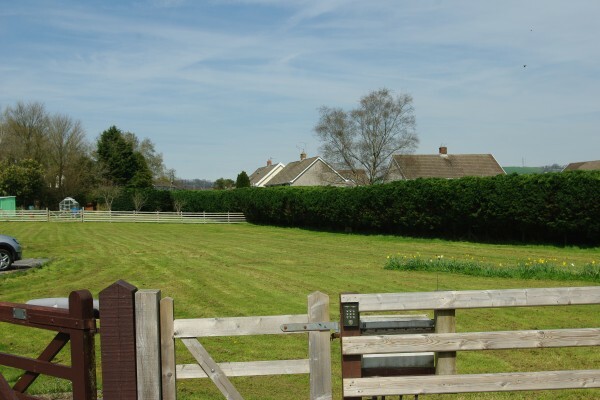 We have been clearing grounds of this bungalow ready for it to be put on the for sale market.The hedges and bushes had not been touched in three years.We had to put three boys in to do all the work. 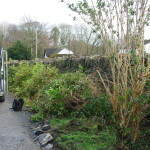 First of all the large hedge at the front of the property had to be trimmed and put back into shape,there was a lot of clearing up to do after this but it looked a lot better after it had been trimmed and cut. 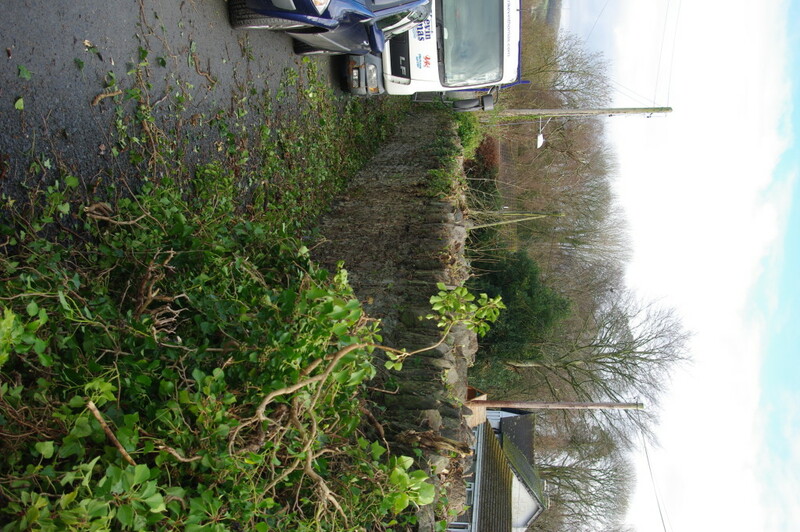 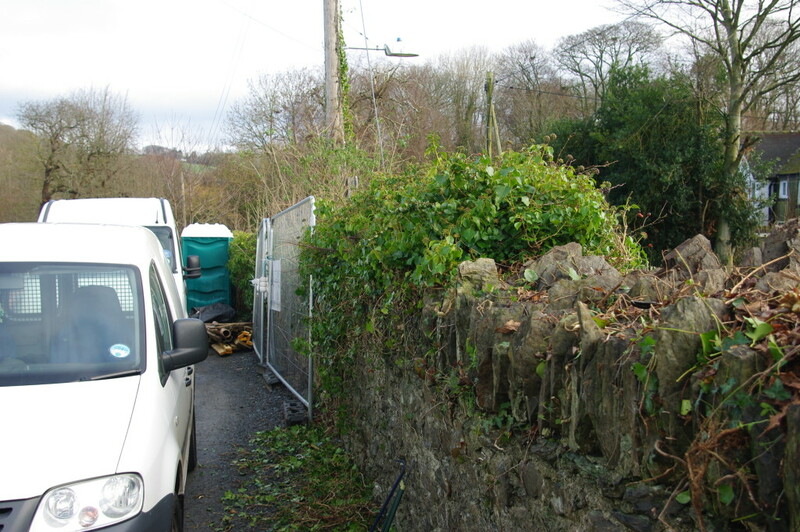 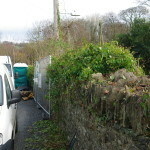 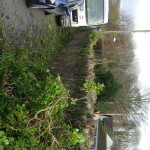 The back hedge proved more difficult to do,it had been planted on a small bank behind the bungalow and balancing on a ladder was quite hair raising a few times,we managed it though and after clearing the brash and debris,this was the one that had the most sense of achievement. 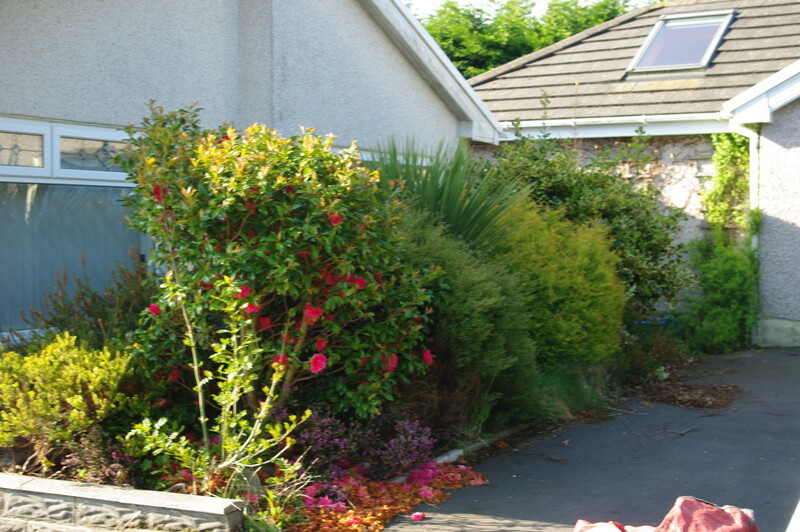 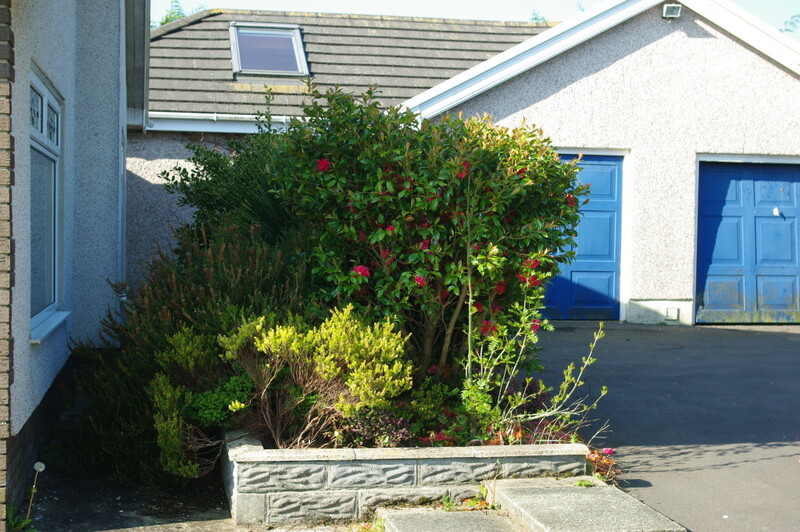 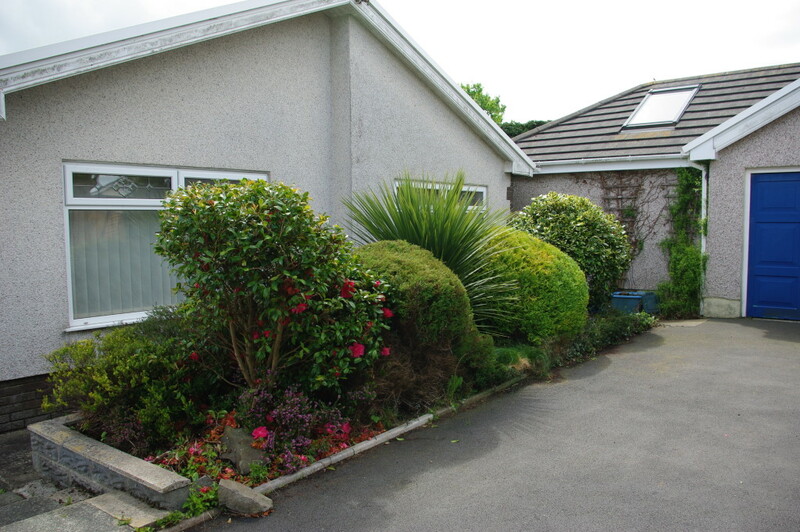 The bushes in the driveway had been pretty in the border and after a trim it made the grounds and driveway look attractive to any potential buyers.Overall the grounds were cleared to a high standard and hopefully the bungalow will sell quickly. 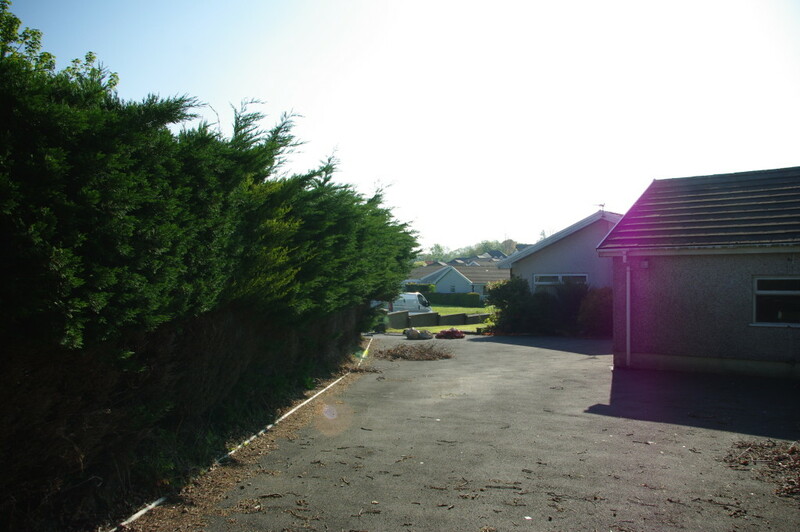 Clearing the grounds and making kerb appeal will always help to sell any property and will be money well spent for the resale value. 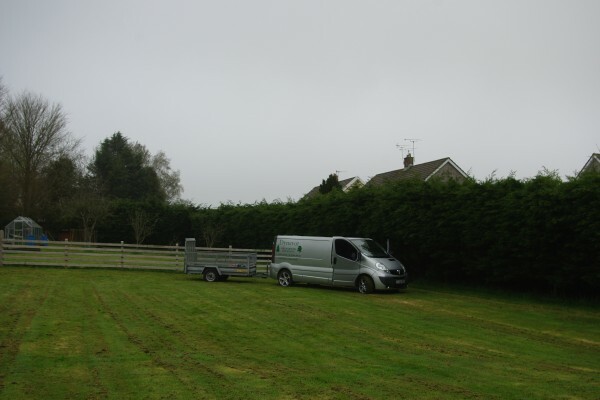 Contact us for a quote if your grounds need clearing. Wooden fencing at Llangunnor Church. 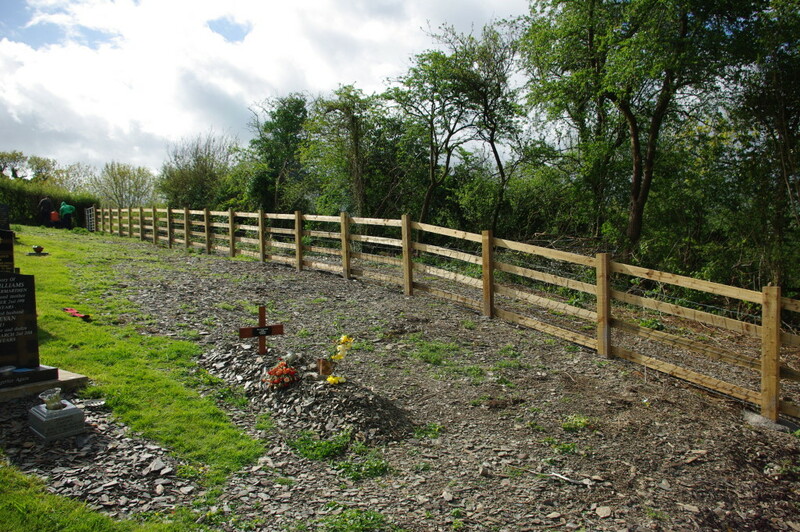 Wooden fencing at Llangunnor Church,Carmarthen.We were commissioned to extend the graveyard which involved removing a hedgeline of trees and replacing it with a wooden post and rail fence as the graveyard had become overcrowded.The first phase was done in the spring and is on a previous blog on this website.This is the final phase and the wooden fence had to be measured accurately making room for a gate at the top of the graveyard,the reason for this is that the gravediggers can get in to dig out the new graves. 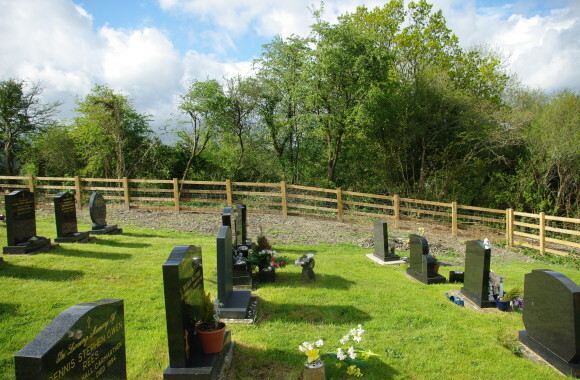 It has opened up the graveyard and has provided a lot more space to use.It took us three days to complete the works and the ground was shale and stone and took a lot of sweat and tears to dig out for the posts,we then nailed the rails to the posts and put a layer of stock wire on the bottom to stop livestock from coming through the fence. 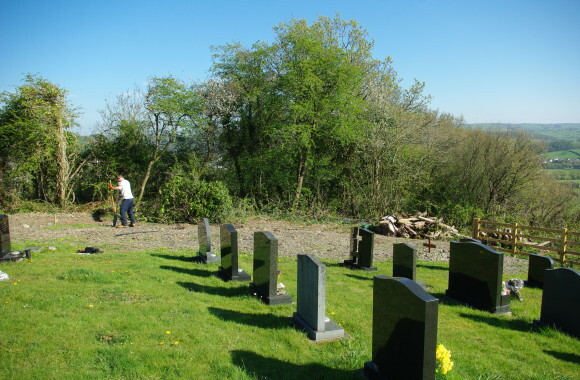 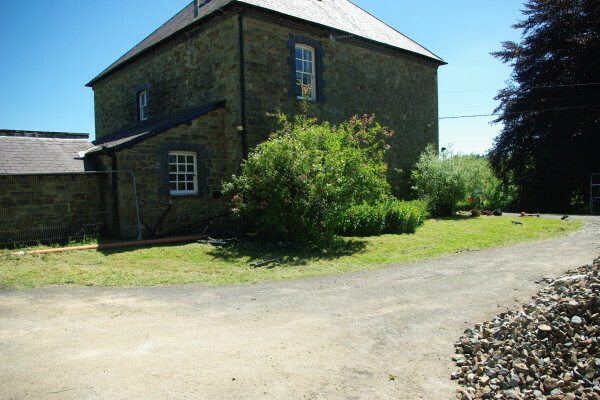 The church is very well maintained and we usually keep the grounds of the church and vicarage in good order as well. 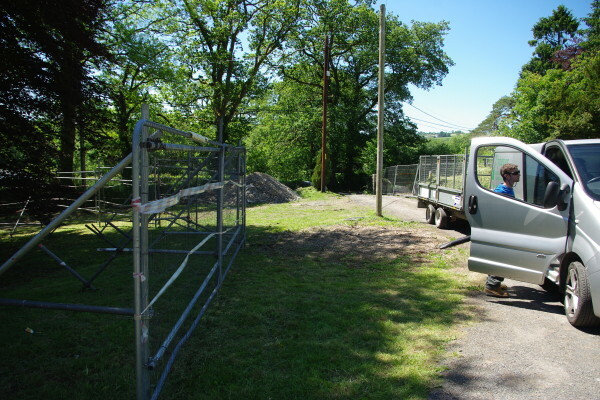 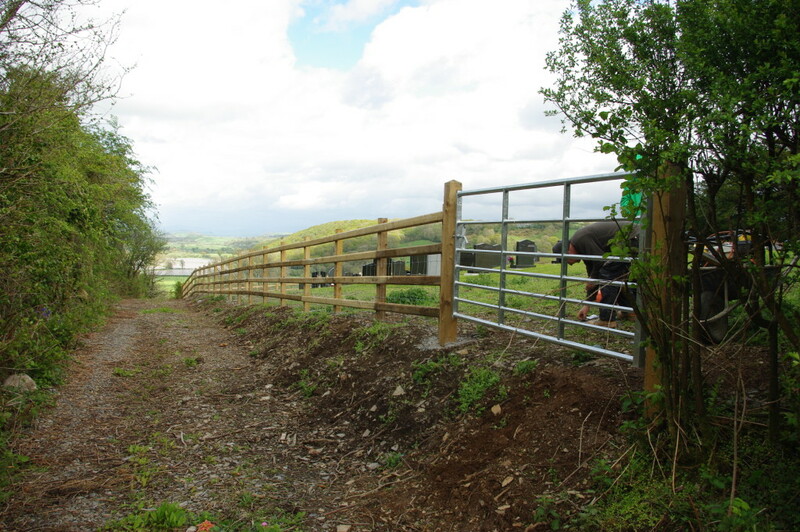 If you would like a quote for a fencing then please contact us. 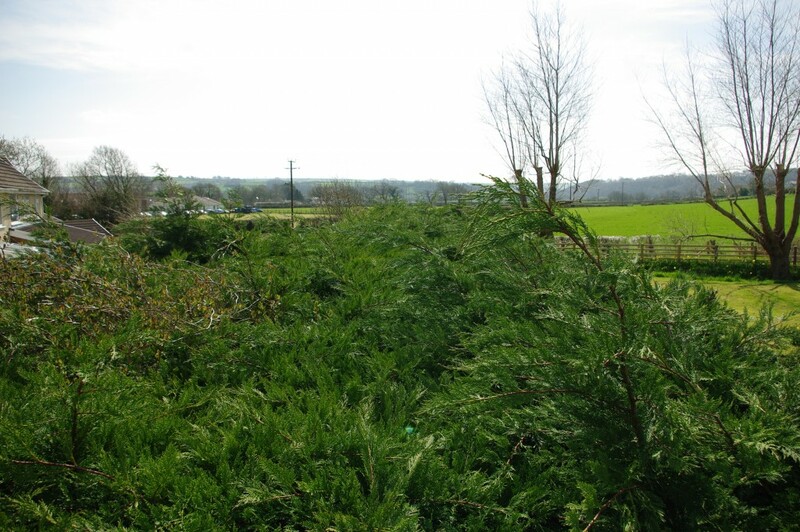 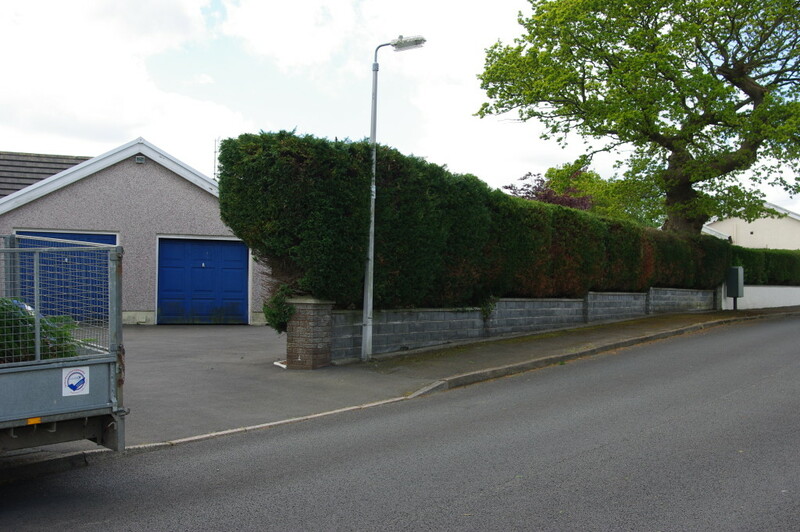 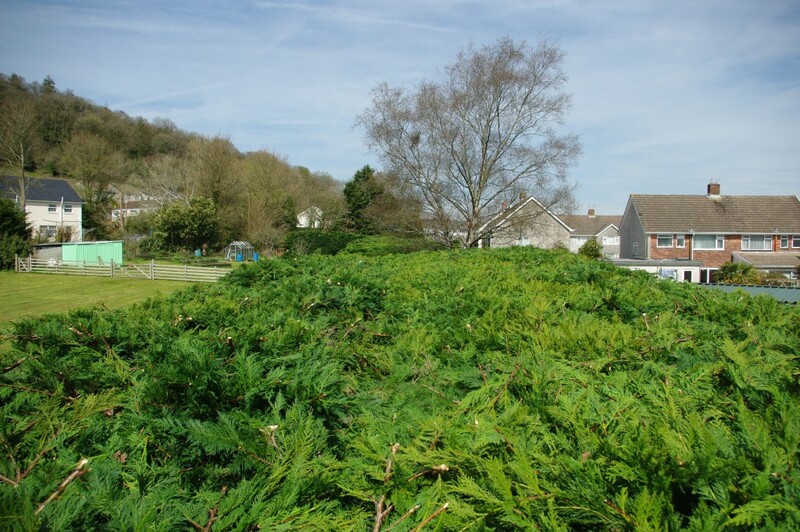 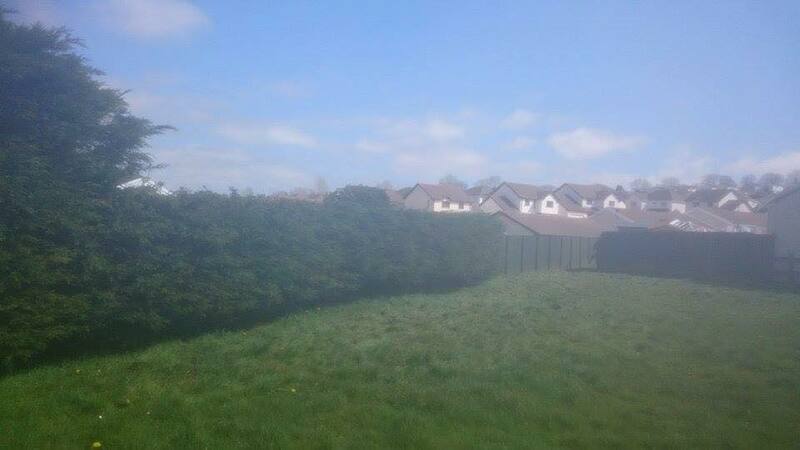 Conifer Hedge Extremely Overgrown for Two Years. 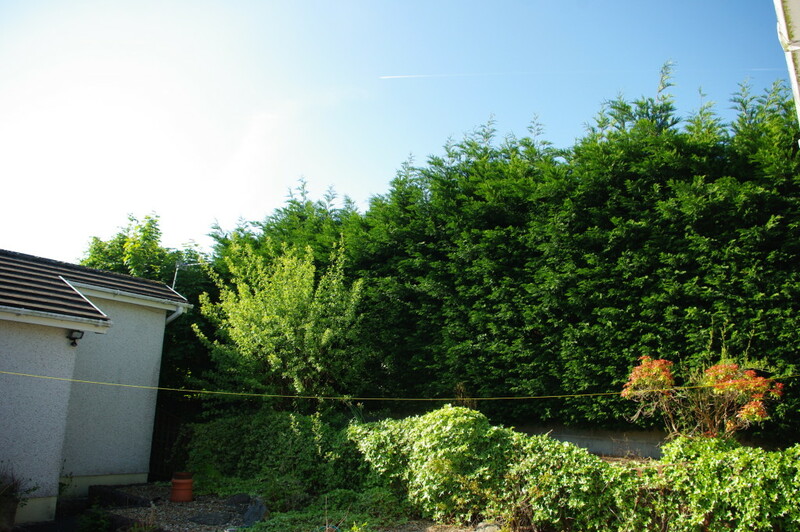 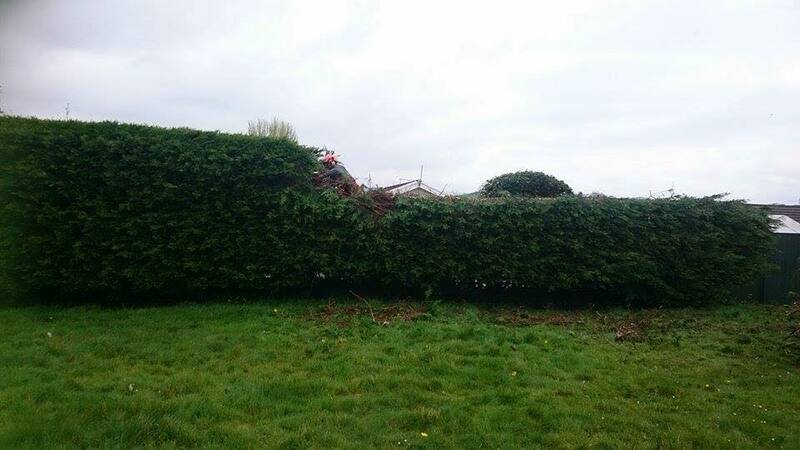 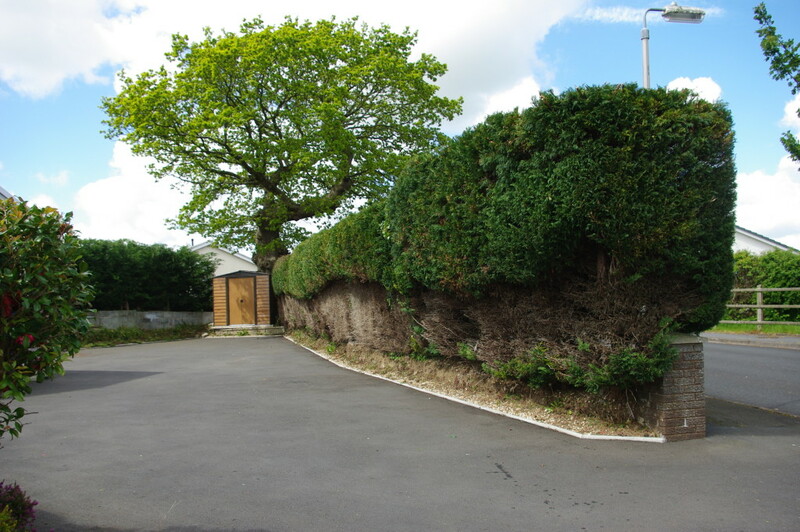 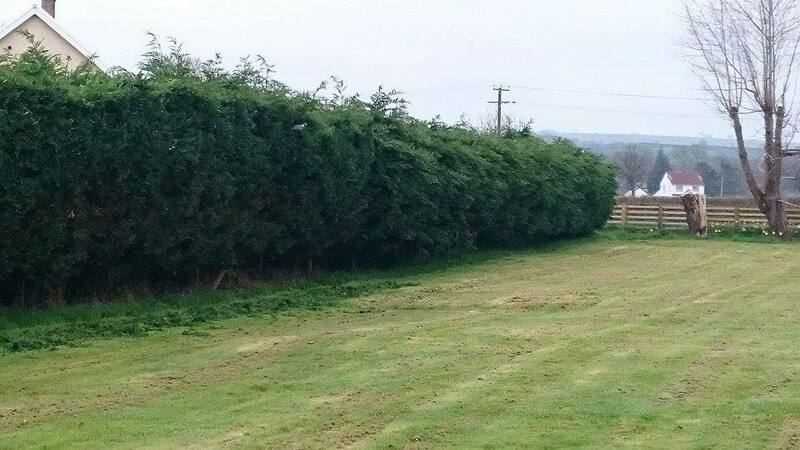 This hedge had been left to grow for the last two years and had gone completely out of control,both widthways and heightwise.Being left like this the homeowner would have had a big job on their hands,another thing is that you can lose quite a lot of your land if the conifer hedge isn’t kept to a manageable size. 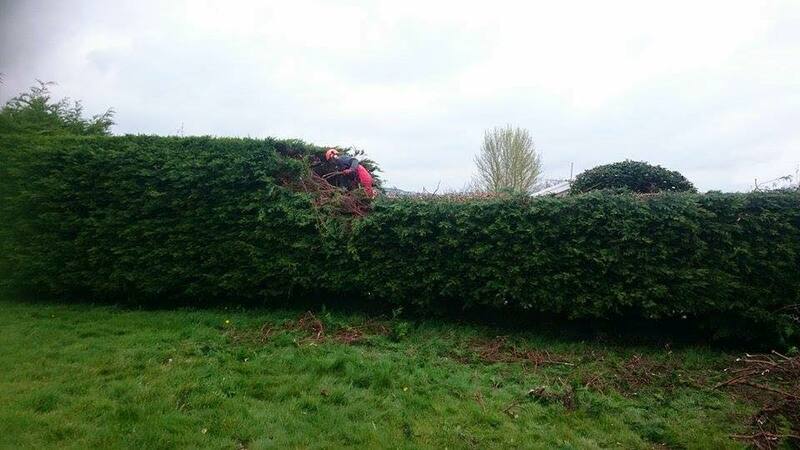 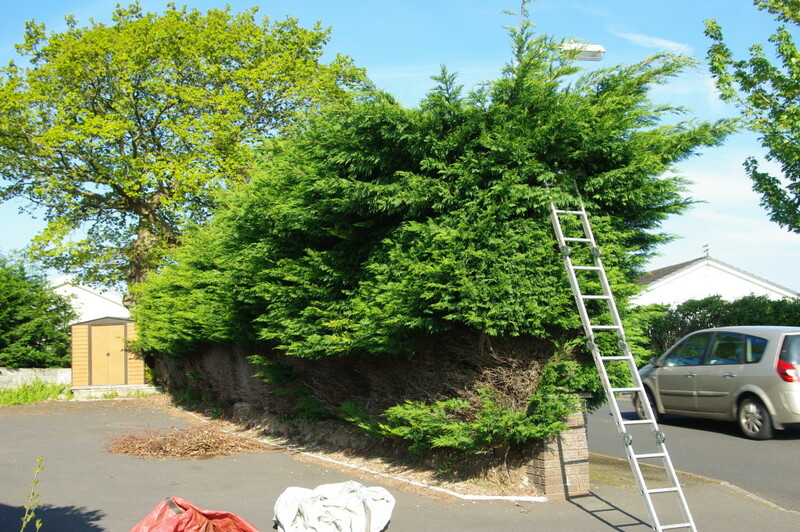 We had to climb up into the conifer hedge and the width at the top as the photos show was about 6ft wide,this takes a lot of cutting and skill to keep yourself safe while crawling across the top to cut the height of the hedge,this is the only way to make sure it gets cut evenly. 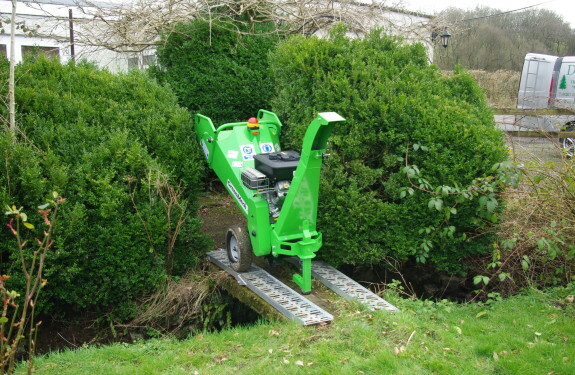 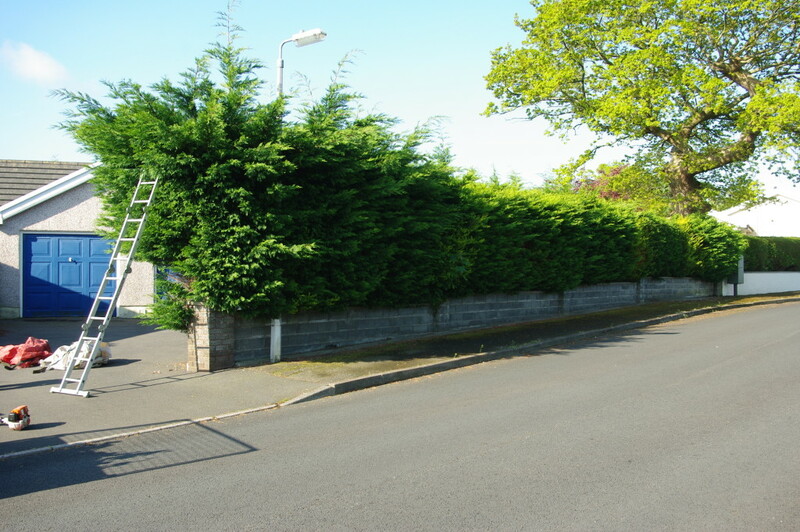 A hedge cutter is used for the sides and the top,making sure not to cut back into the brown of the conifer hedge as then it will not grow again in these parts,plus cosmetically the hedge will not look at its best. 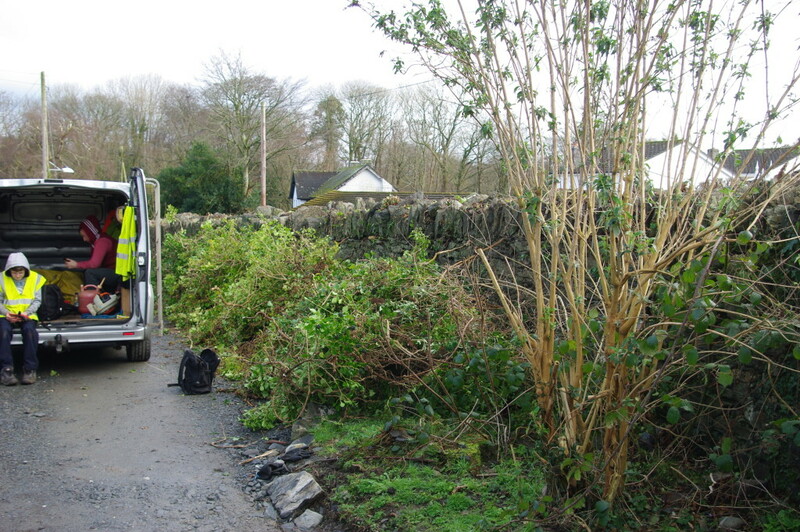 We had to take a large trailer and mulched all the cuttings up to get them in the trailer,there is usually two boys on the ground to make sure all the cuttings and sawdust are fully raked up and the ground is left as it is found. 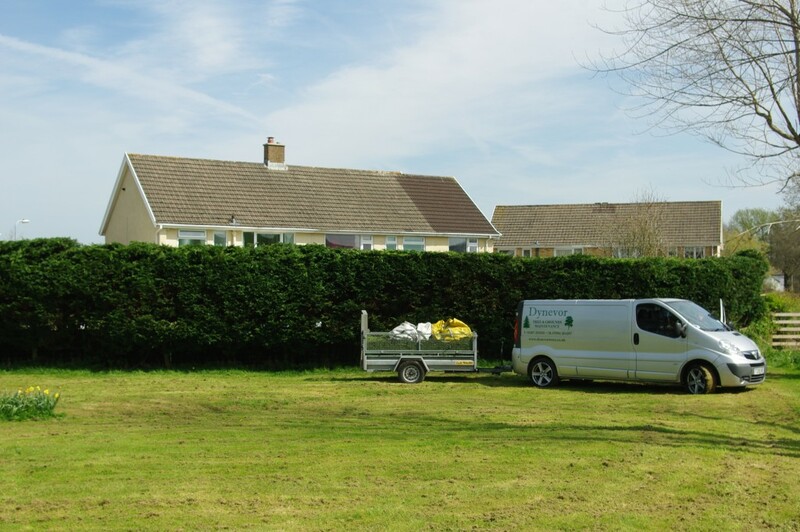 This was a full days work but with very good results that the homeowner was pleased with!This makes us have a good sense of achievement and our aim is to always please the customer no matter what the circumstances.We are a small family business and customer satisfaction is extremely important. 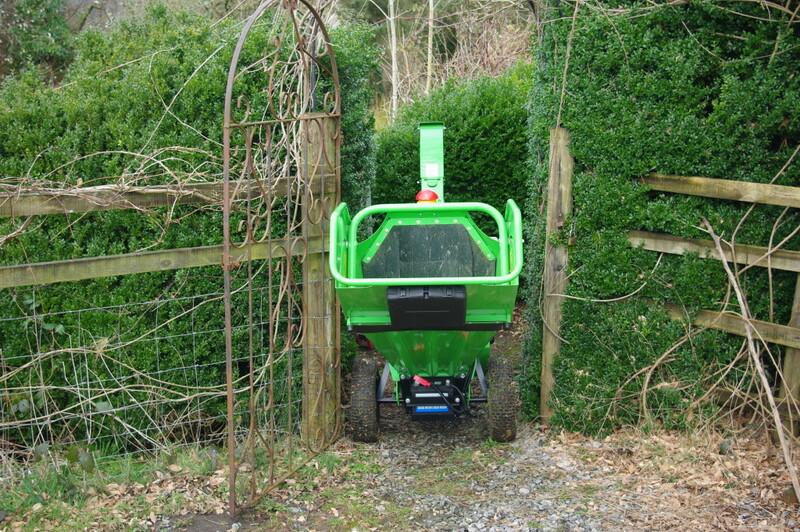 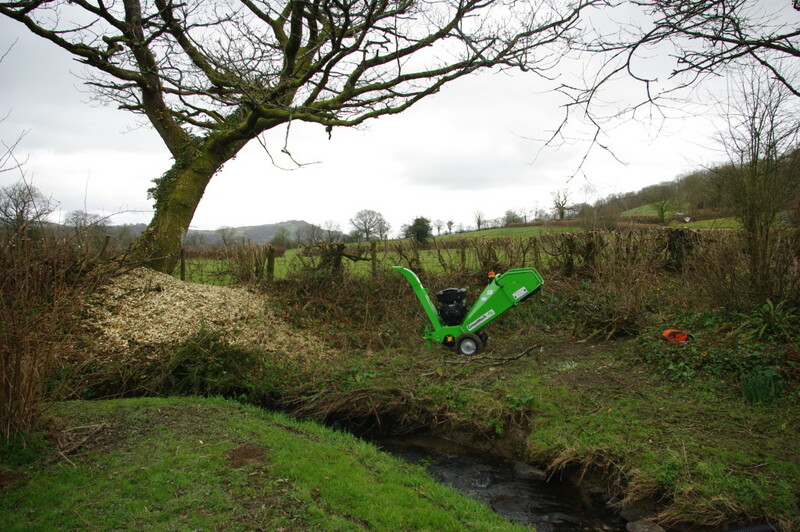 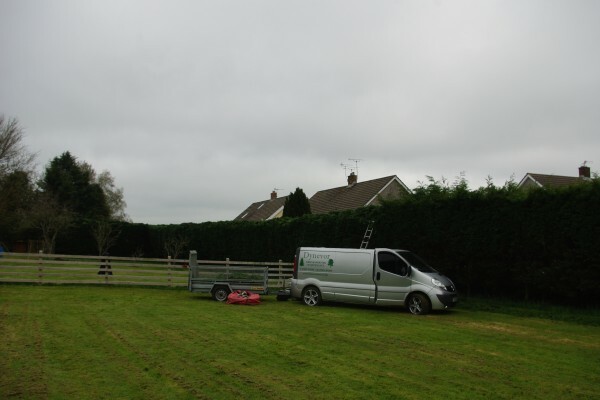 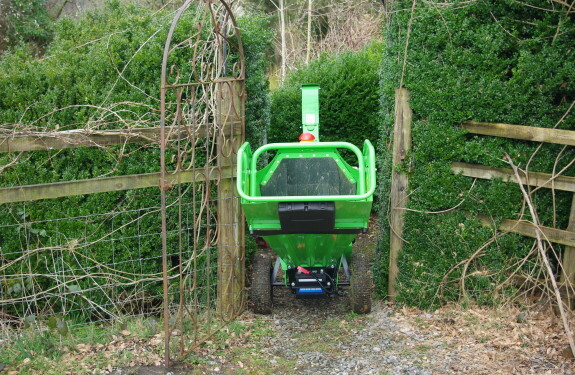 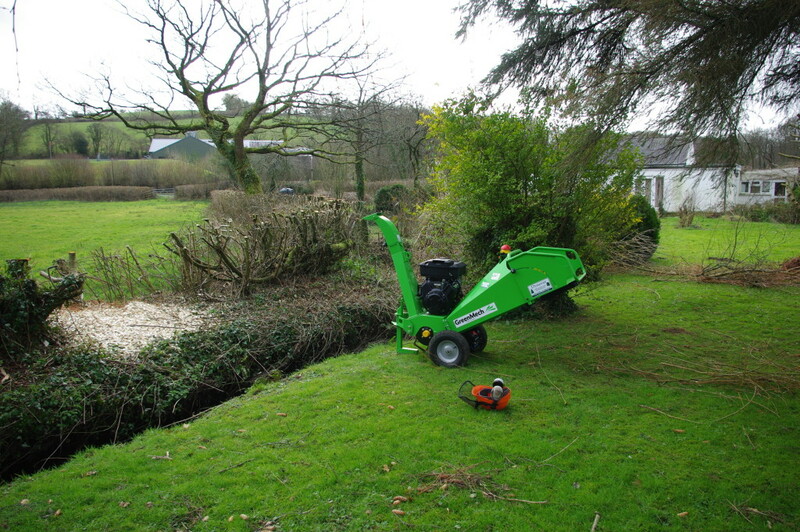 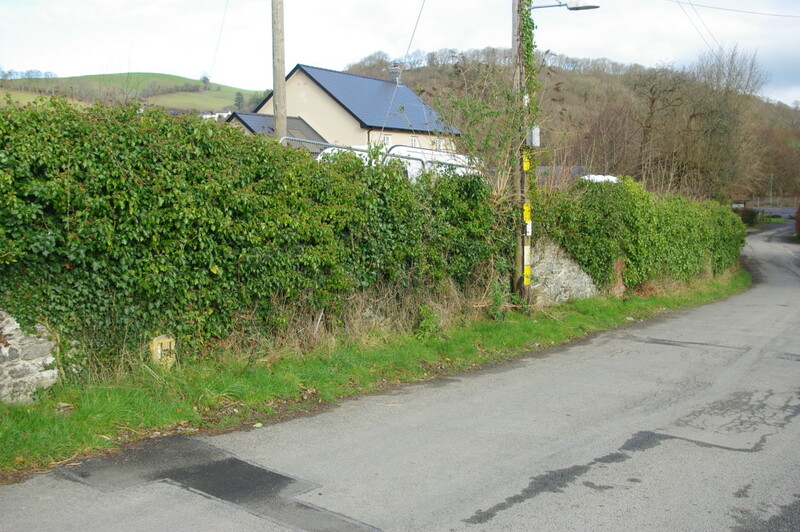 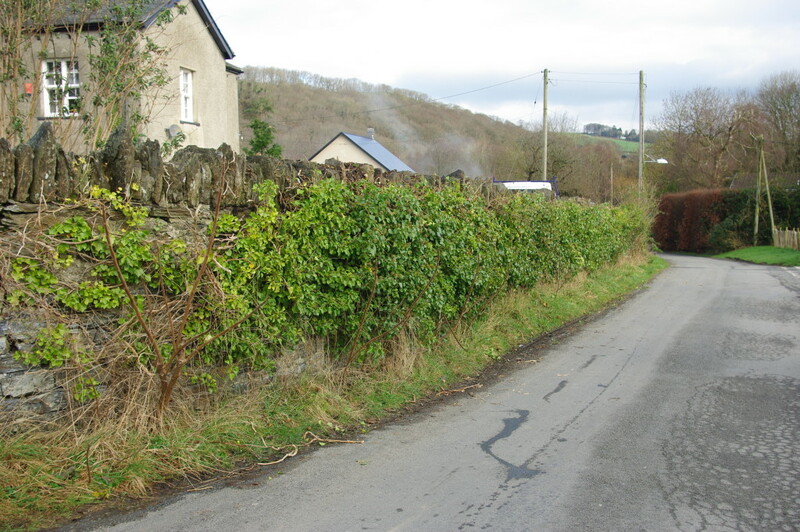 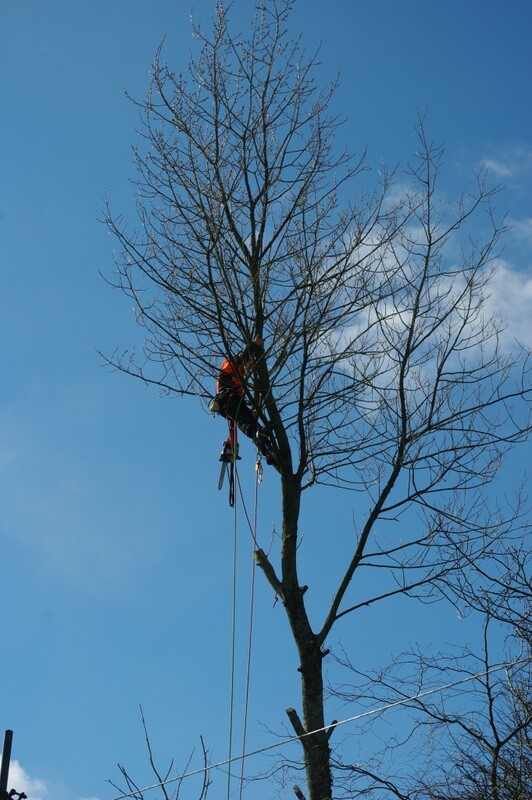 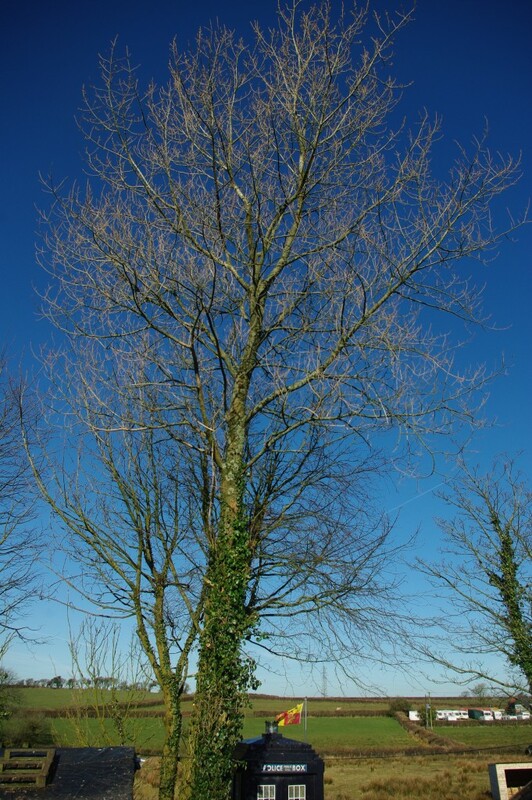 If you would like your conife hedge trimmed and cut then please feel free to contact us at anytime at Dynevor Trees. 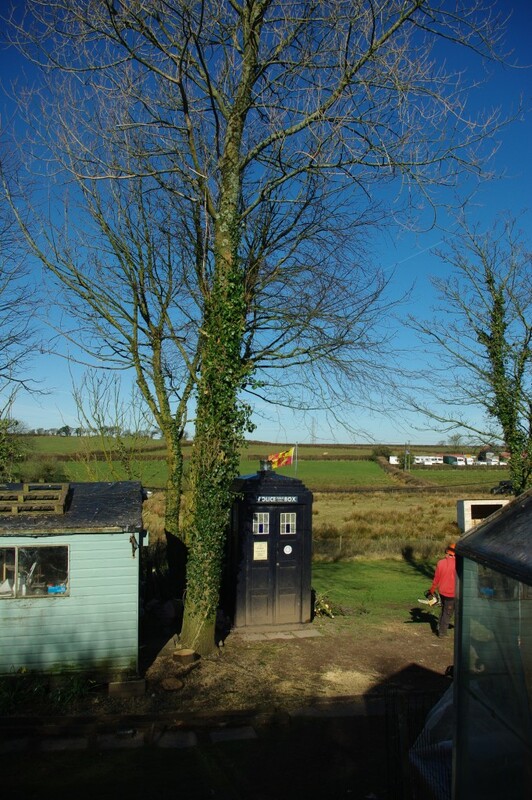 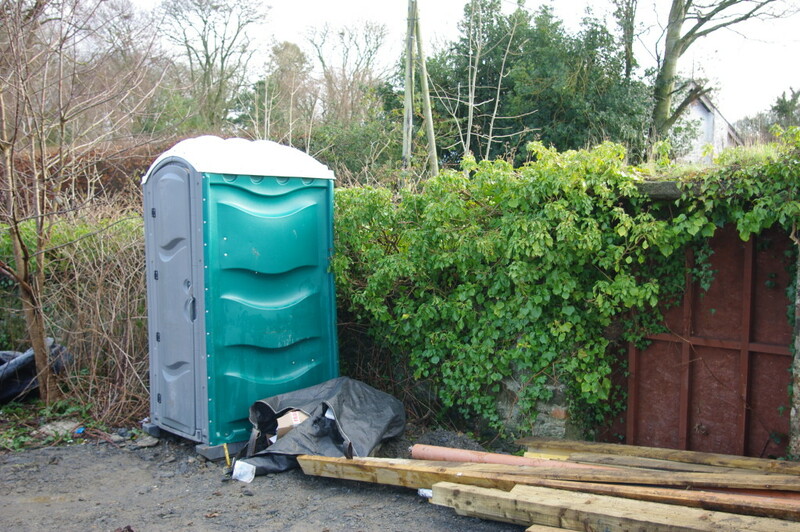 These images are of Removal of trees from the side of a Doctor Who tardis,and yes you did read this right and no it is not on a Doctor Who set but in a garden that is on the outskirts of Carmarthen near Llandyfaelog.However the tardis is a genuine prop from the Doctor Who set that was used in the 1960s and 70s that was purchased by the current owner,while working we were expecting the doctor to call or a Dalek pop out of the hedge. 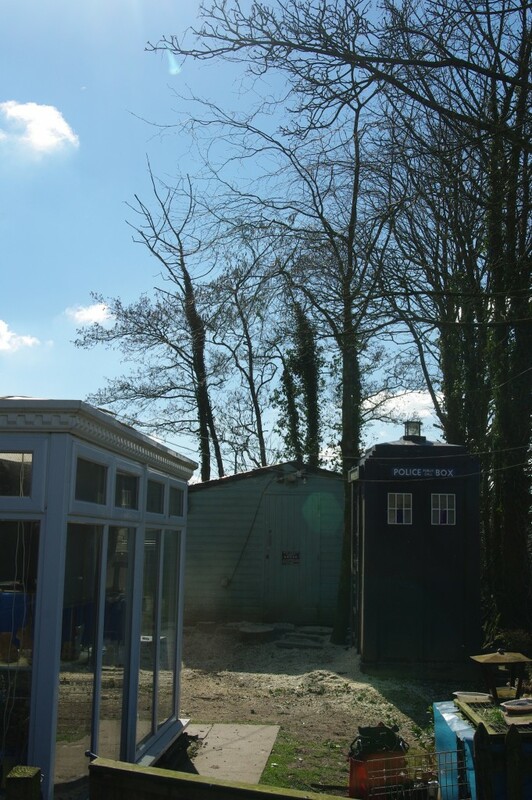 The trees were right beside the tardis and had to be dismantled and lowered down carefully to avoid any damage to the tardis,it was an intricate and a time consuming job but well worth the experience,we can now say we worked for Doctor Who. 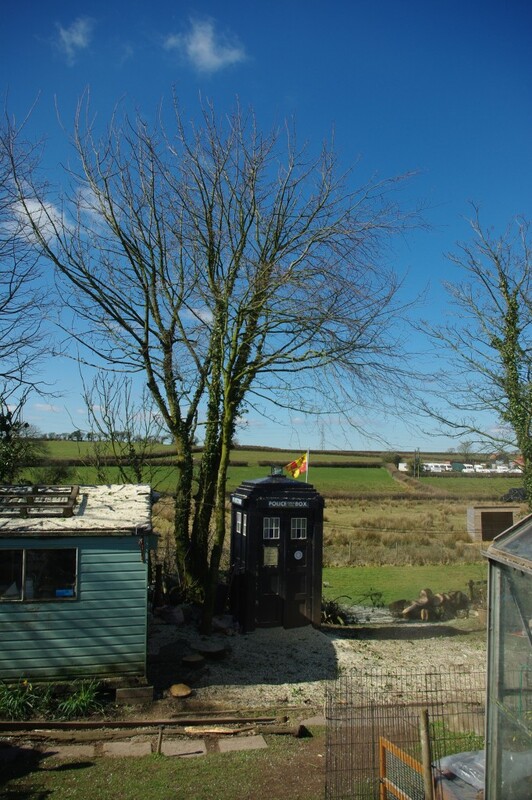 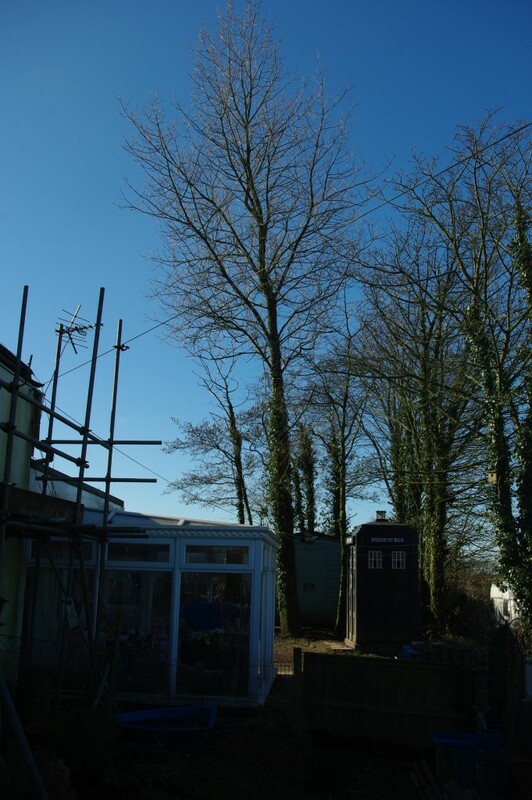 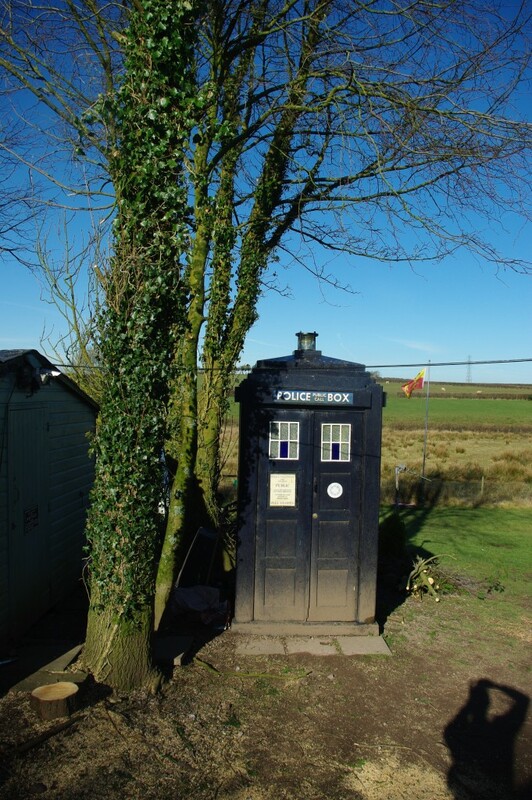 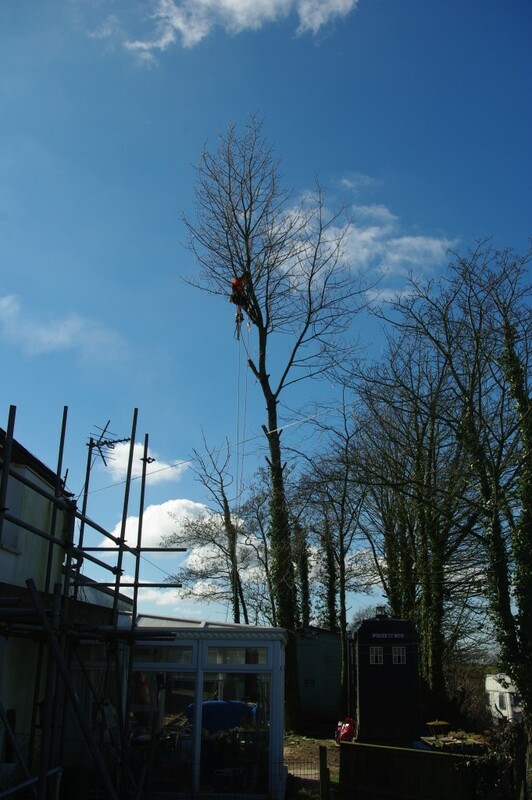 We get called out for some unusual jobs but this is the most unusual to date,and no Daleks were harmed during the works.The tardis will stand for another forty years because no trees will fall onto it,which leads to a very happy customer. 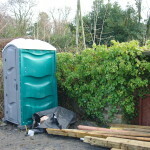 For a no obligation quote please contact us on the numbers shown on the site.